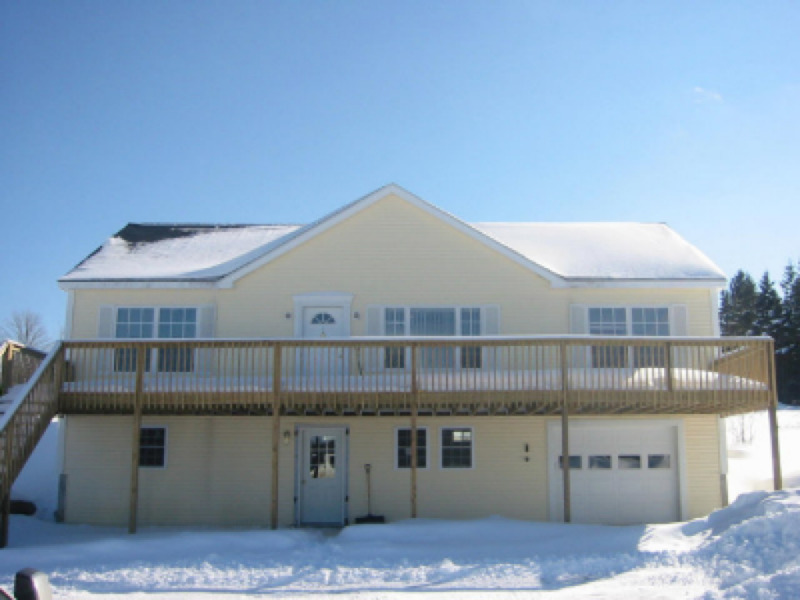 Brookside on Perry Stream is a 5 bedroom home located at 544 Hill Road, just across from the Happy Corner Bridge. 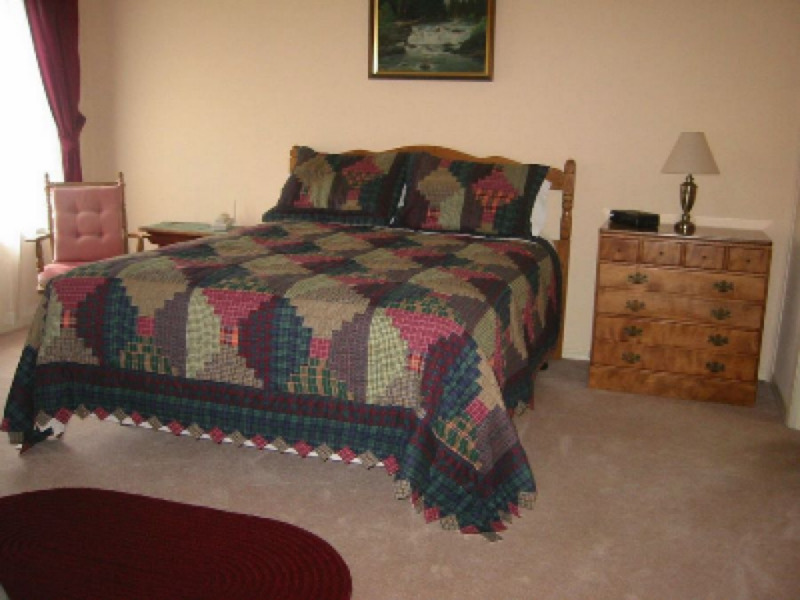 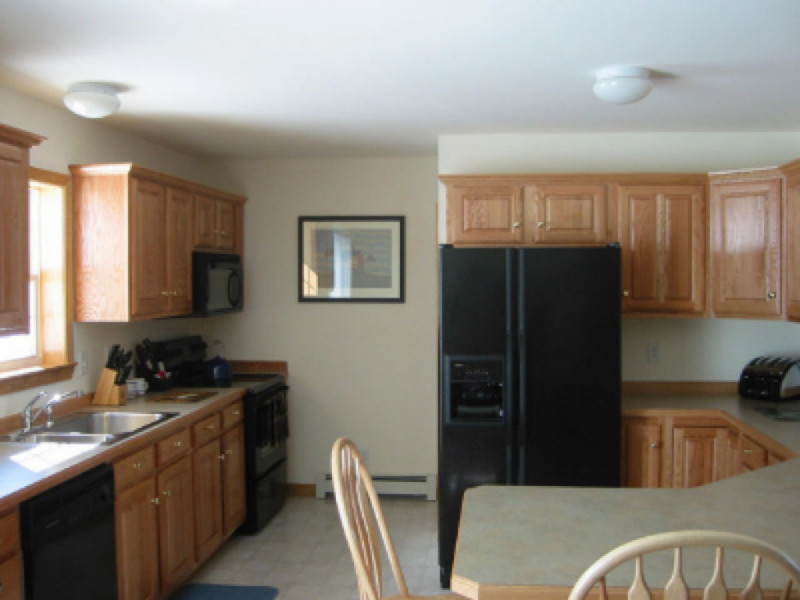 Brookside includes two full bathrooms, a kitchen, dining room and living room. 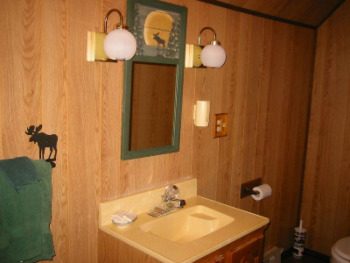 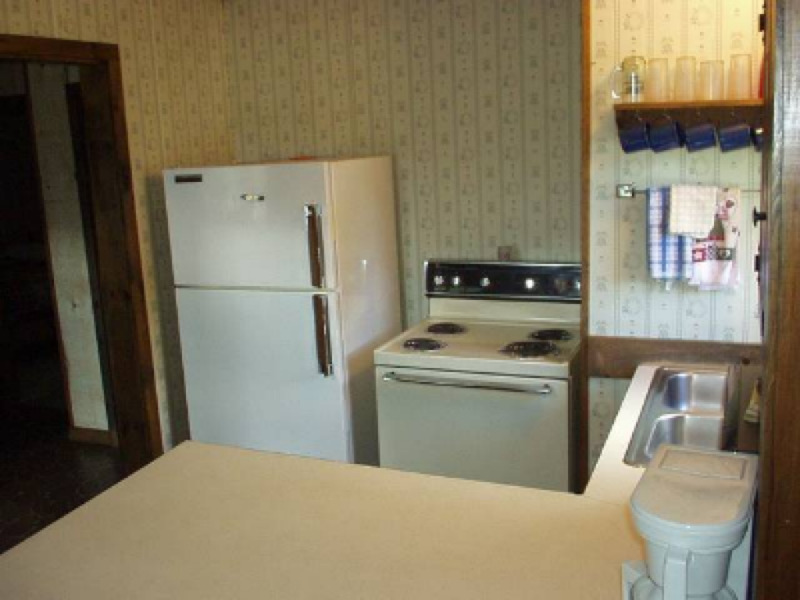 It also features a washer, dryer, dishwasher, gas grill, outside fire pit, telephone, and satellite tv. 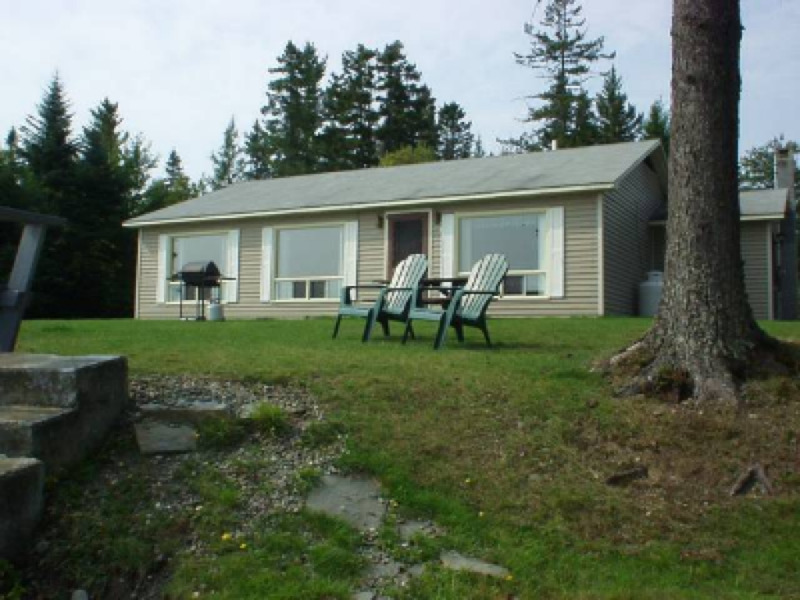 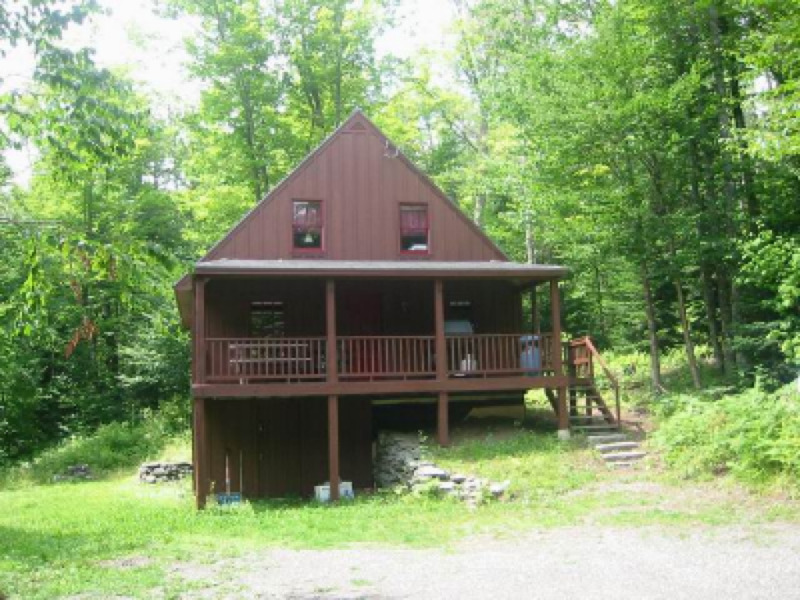 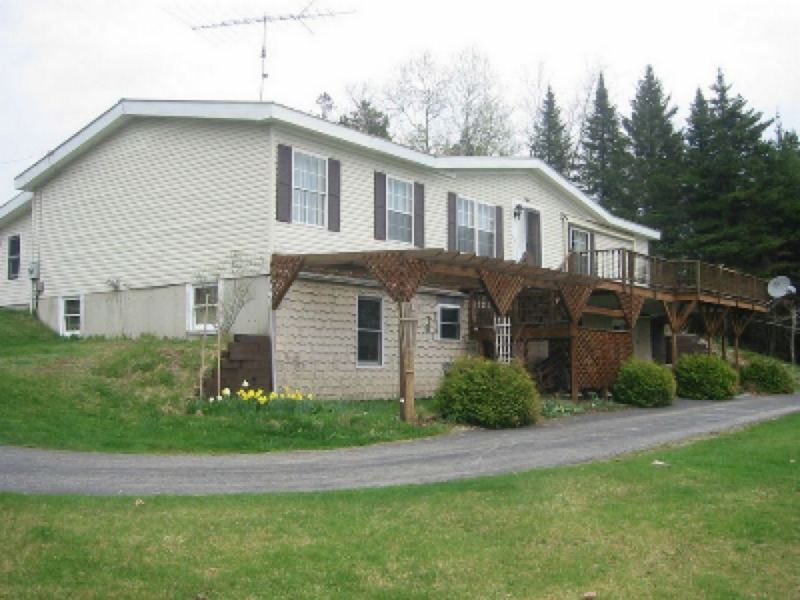 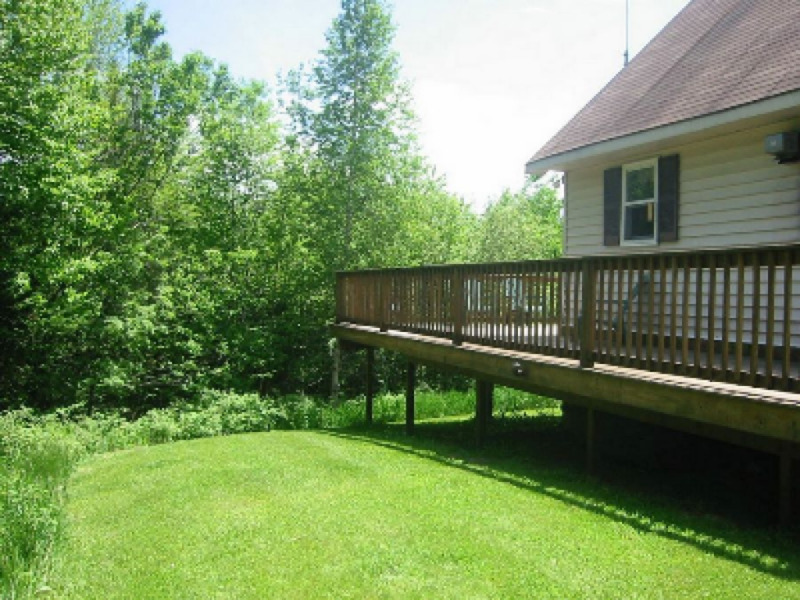 This is a very private rental with a wrap around deck facing Perry Stream. 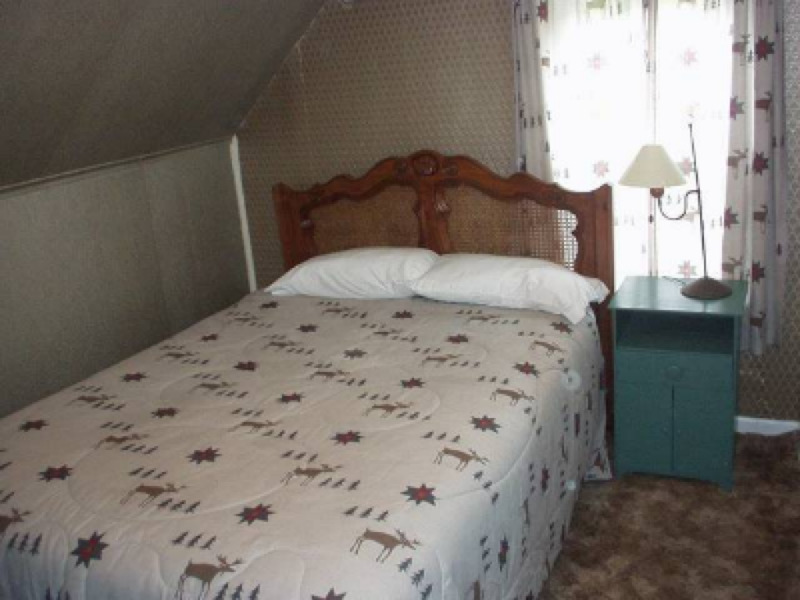 It sleeps 10-14 people. 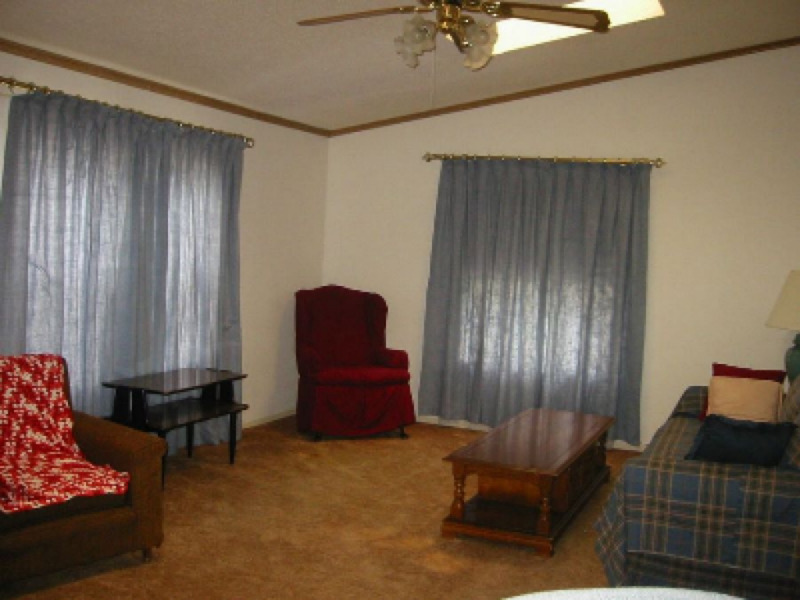 Located on Crawford Road, this rental looks down on Pittsburg village. 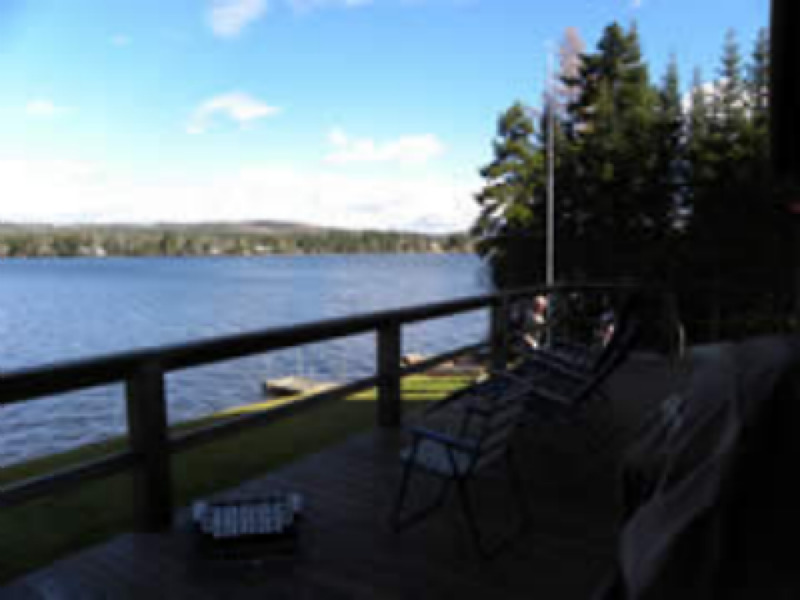 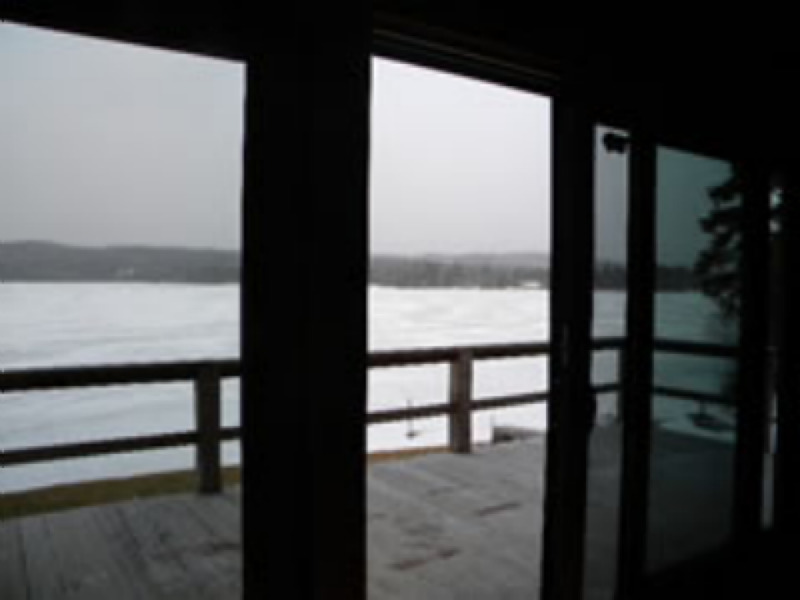 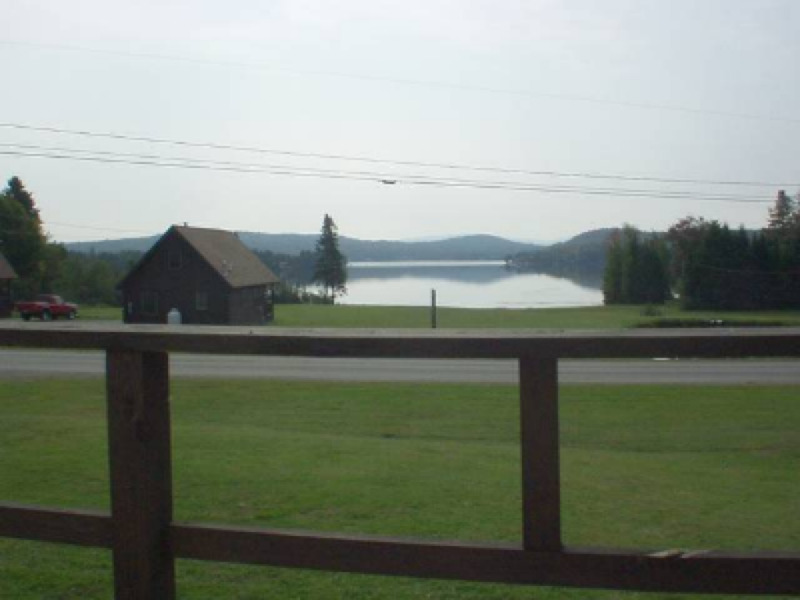 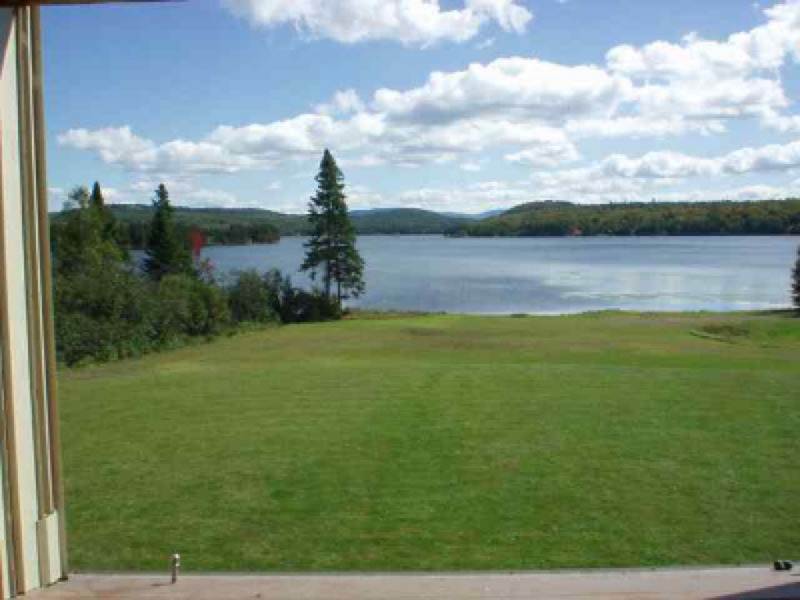 There is also a view of Lake Francis from the front deck. 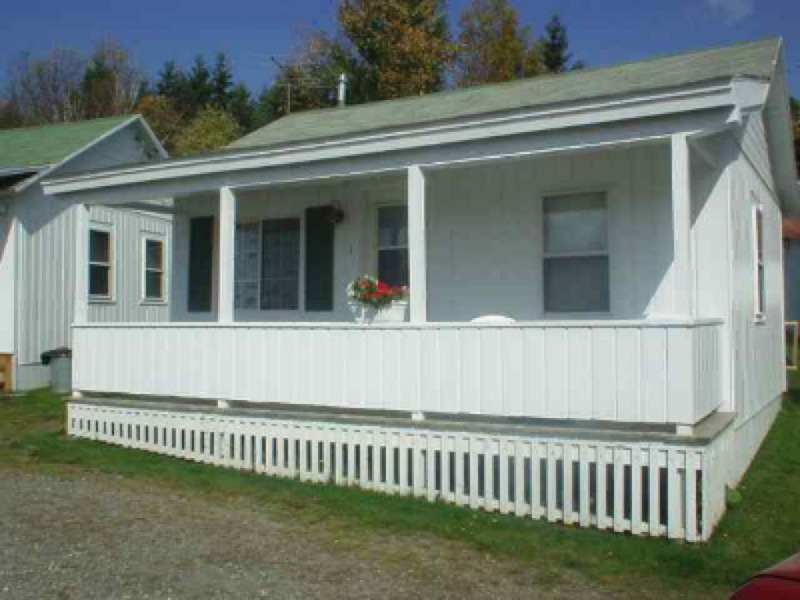 The Crawford House includes three bedrooms, living, dining, two full baths, and kitchen areas. 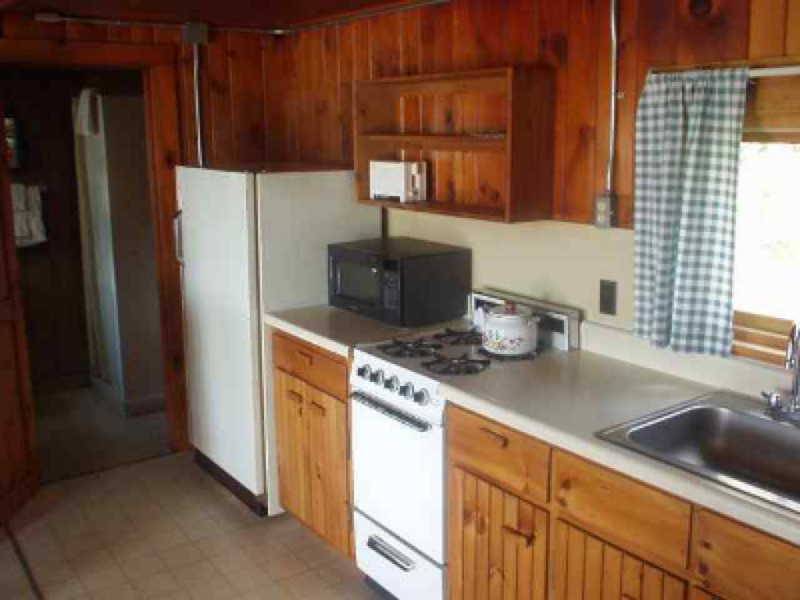 Dishwasher-satellite tv-telephone, outside fire pit, and gas grill are also included. 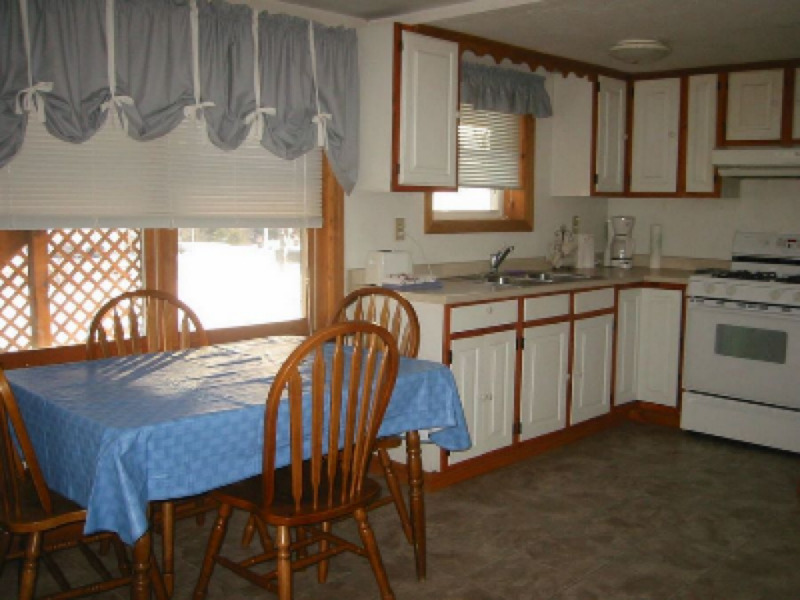 Has a washer & dryer and sleeps up to 10 people. 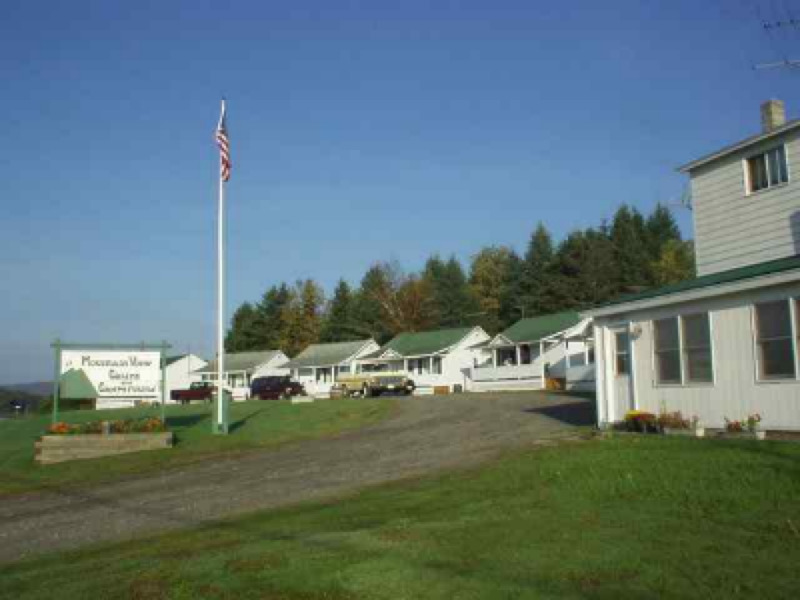 Very nice accomodations with lots of parking. 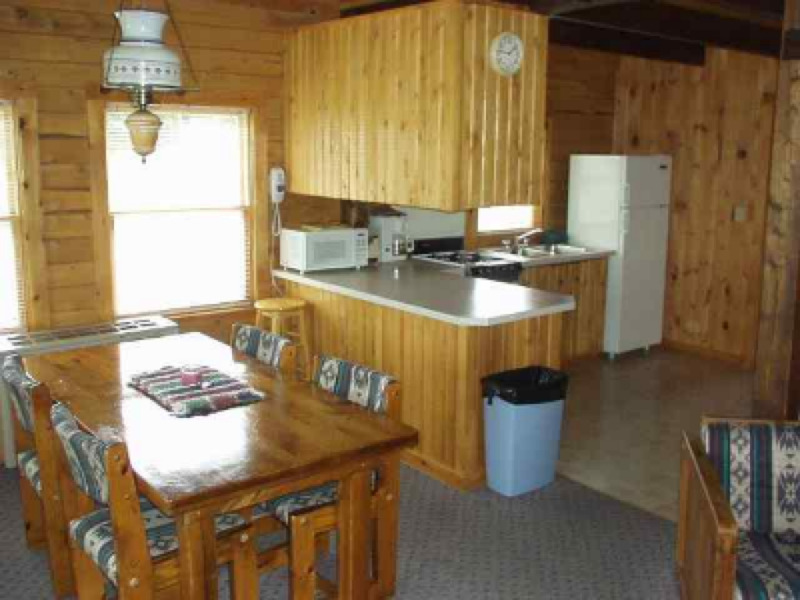 Mallard Cove has two log cabins on Back Lake. 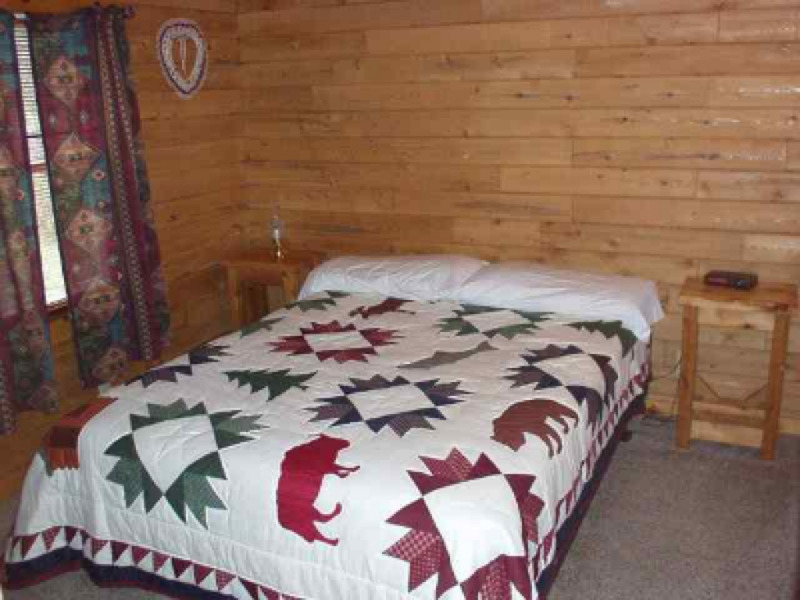 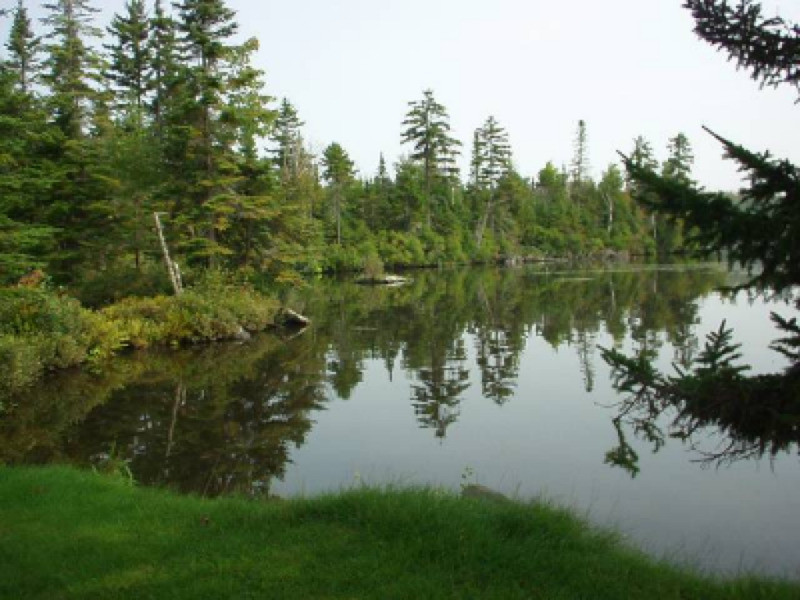 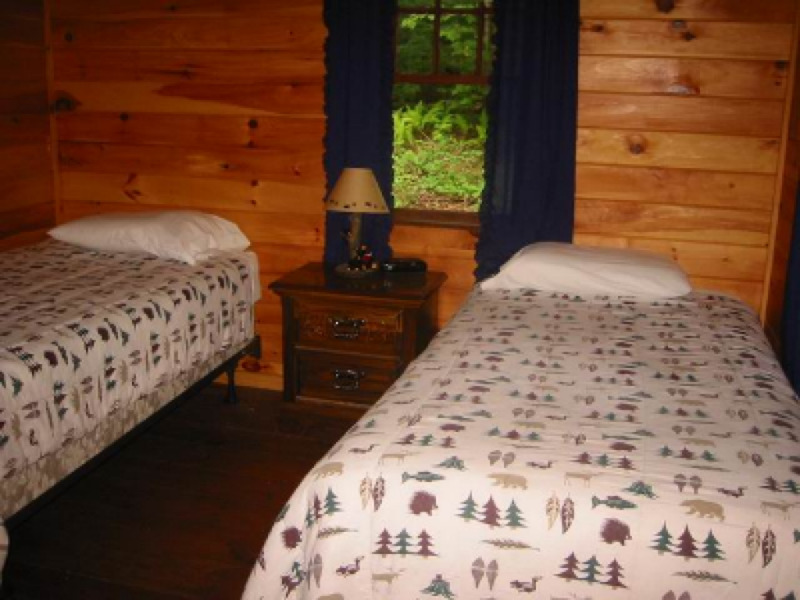 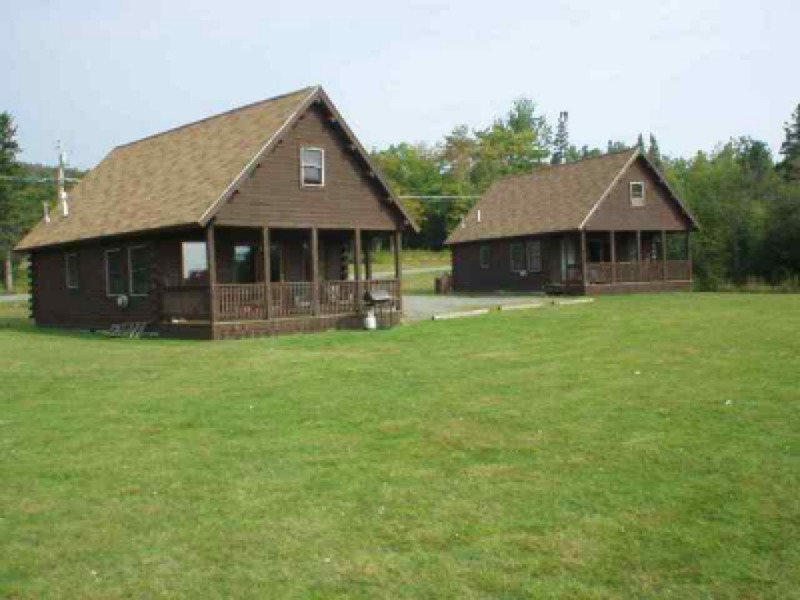 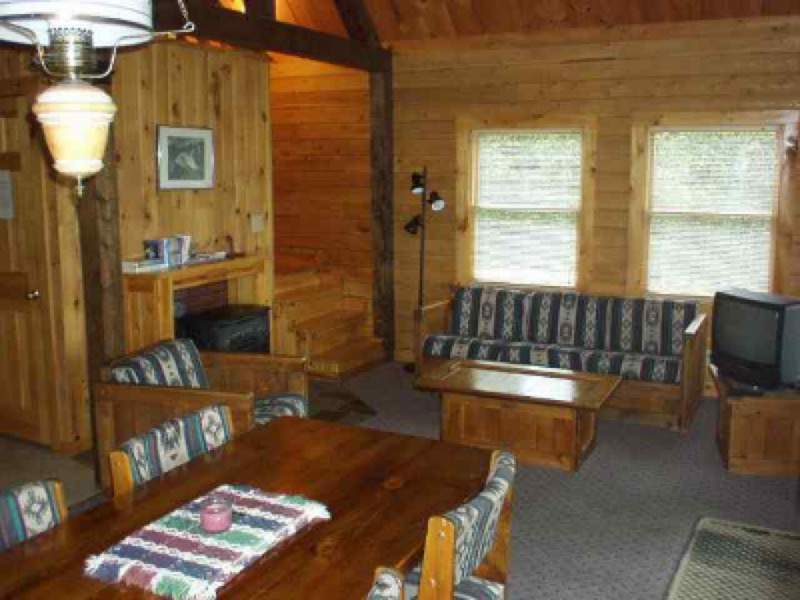 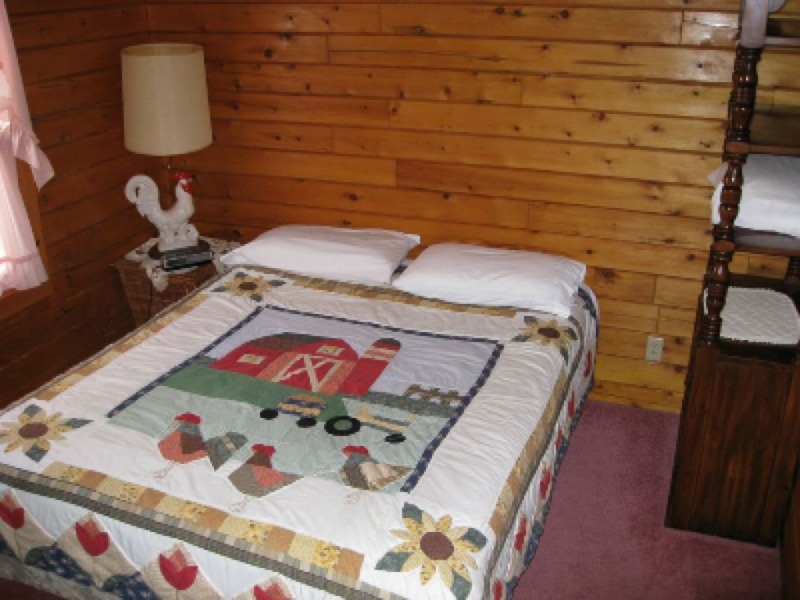 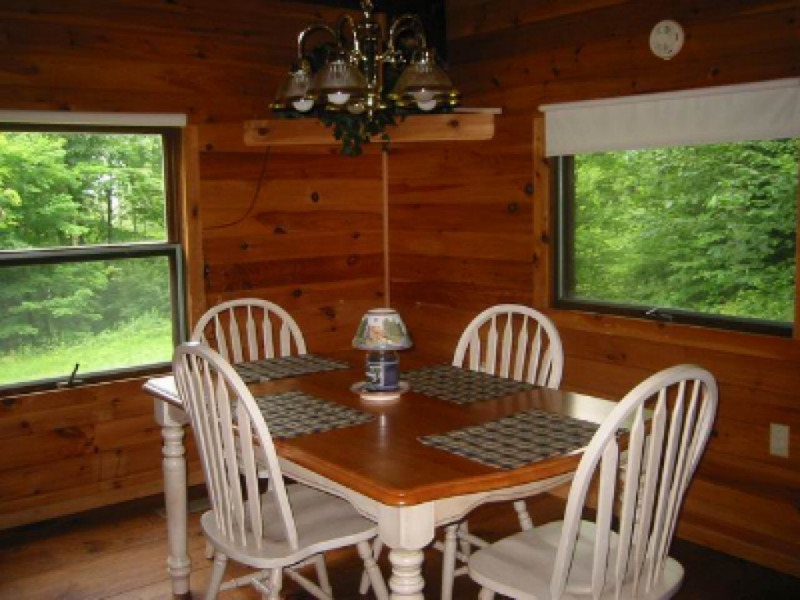 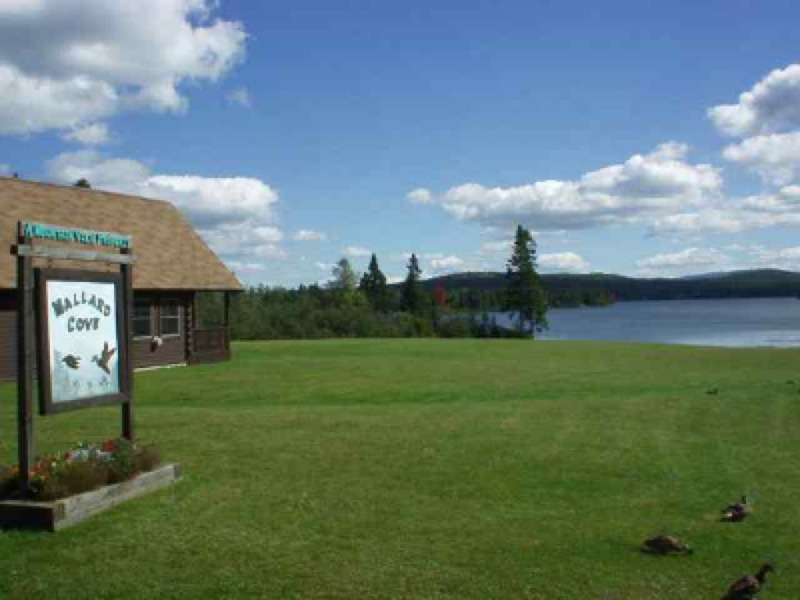 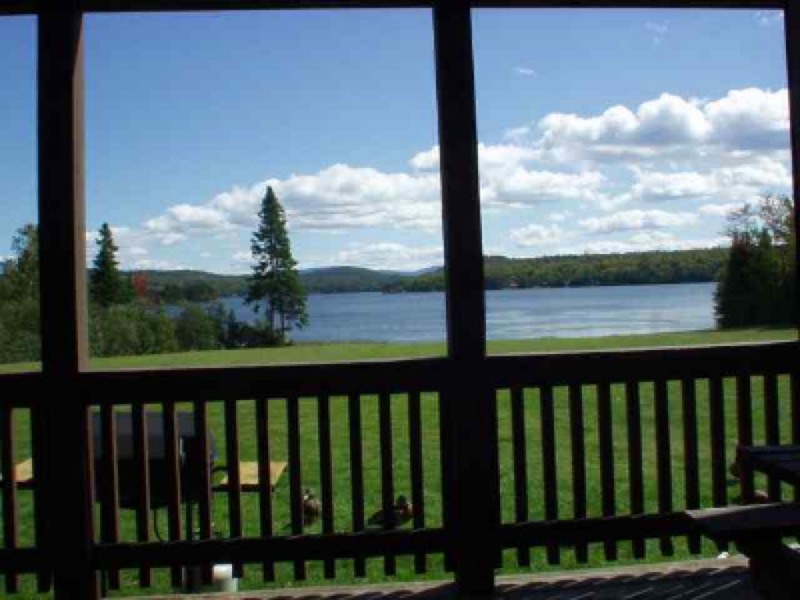 Each cabin has private lake frontage and there is even a small pond on the property. 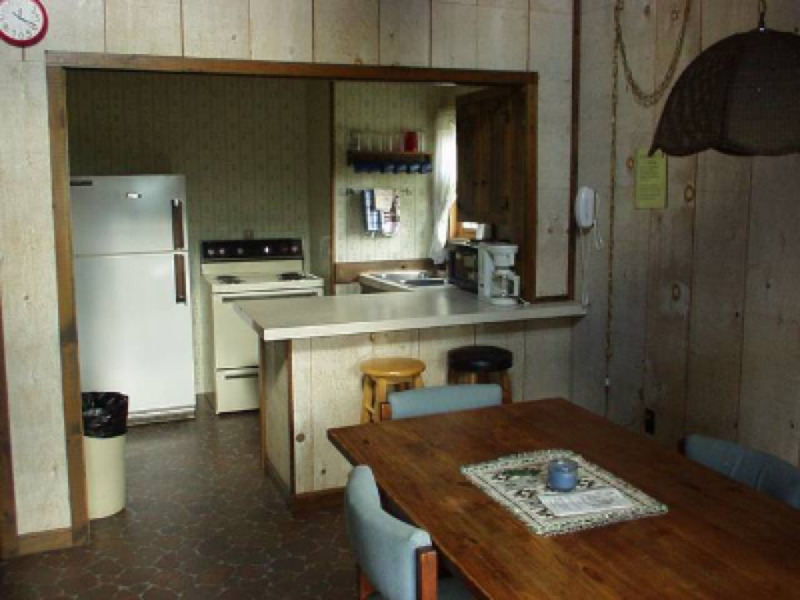 Each cabin has a full kitchen, living room, and dining area. 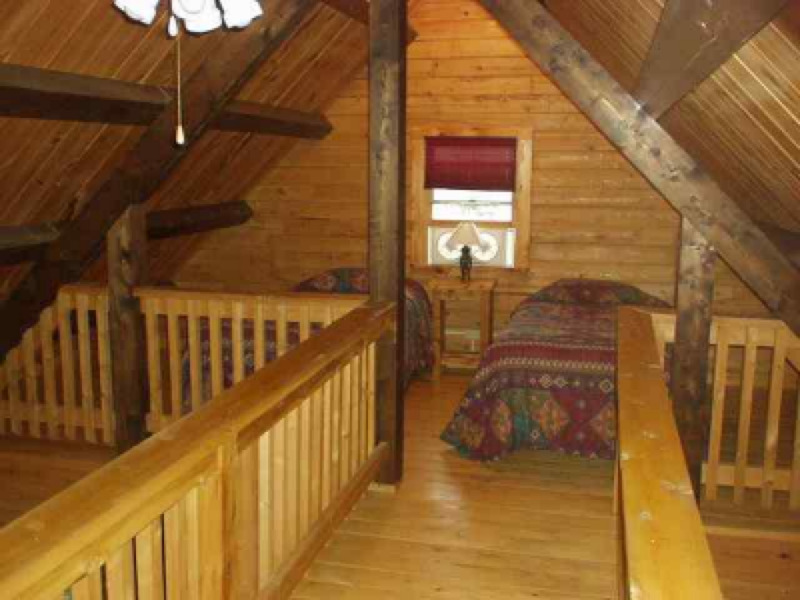 There is one bedroom downstairs and a catwalk between two lofts upstairs. 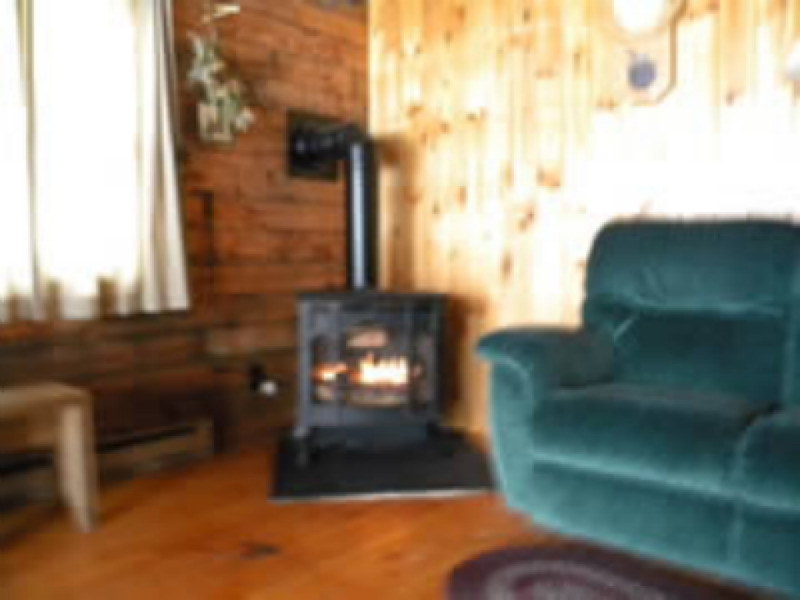 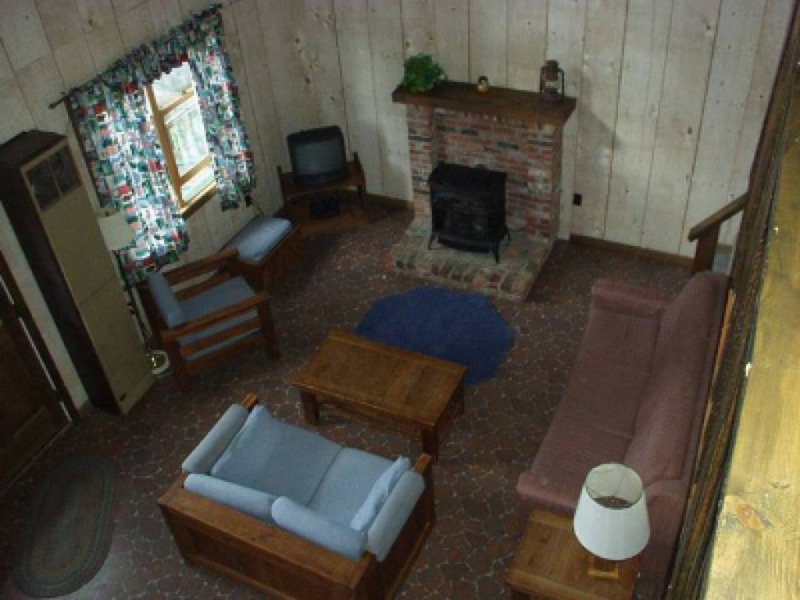 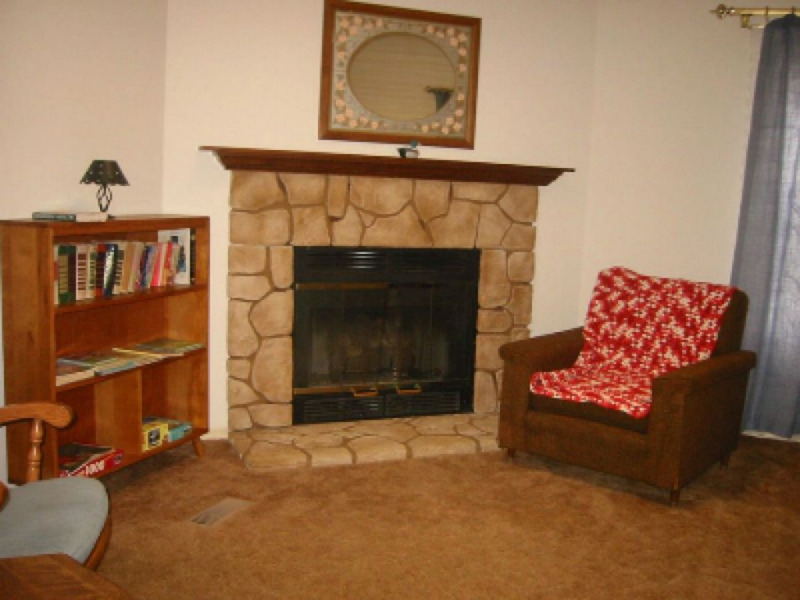 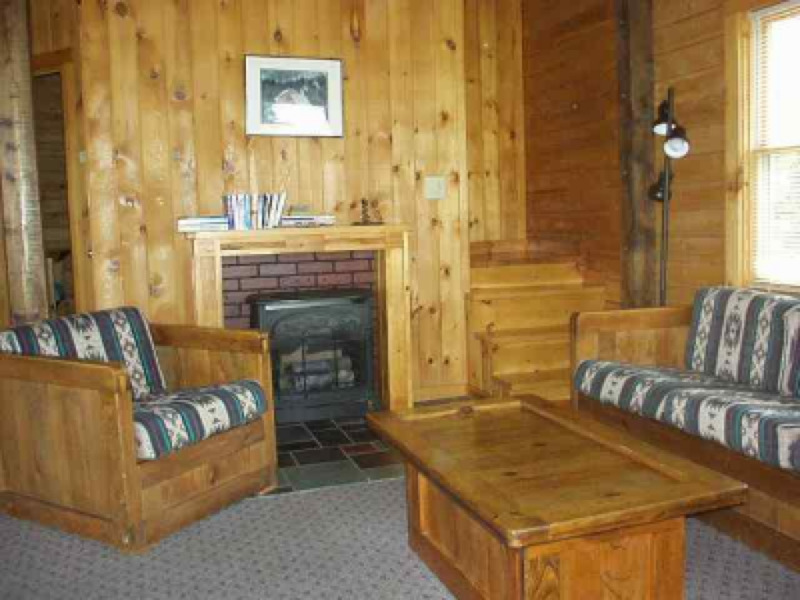 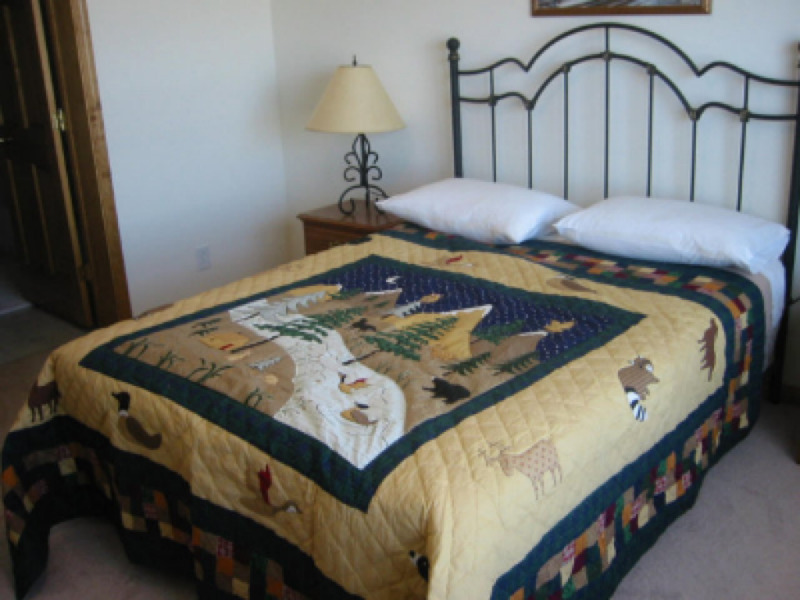 Each features cable tv, telephone, canoe, outside firepit, gas grill, and a gas log fireplace. 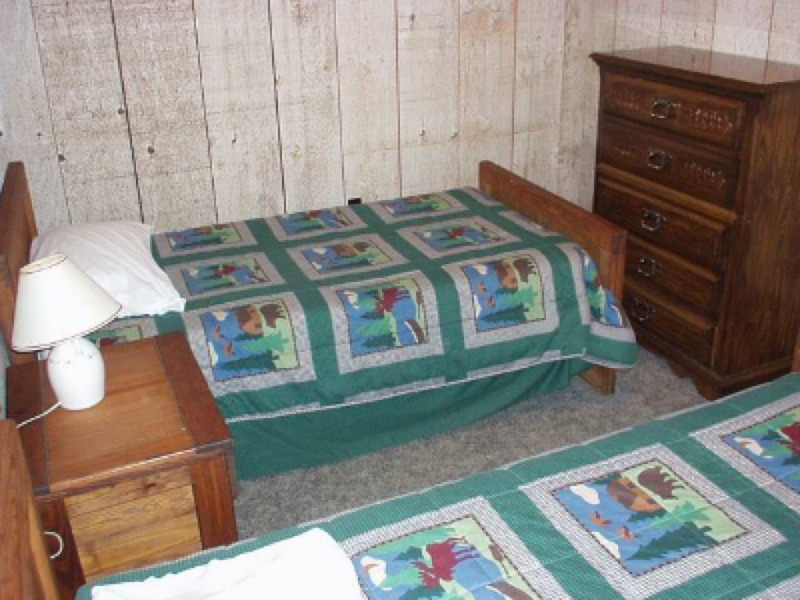 They each sleep 6, extra people with cots. 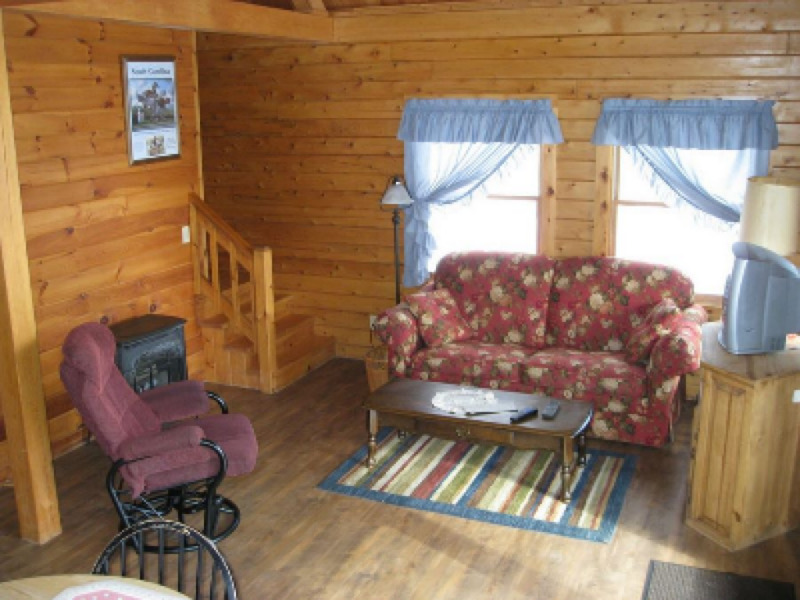 Enjoy a serene retreat in the Great North Woods at our private log lodge. 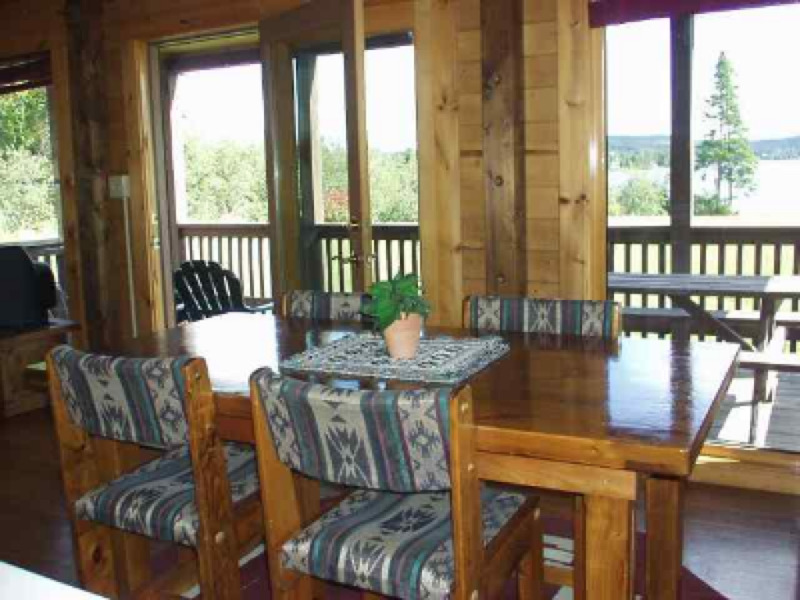 After a busy day of activities, sit by the fire and watch the moon rising over the hills surrounding Back Lake. 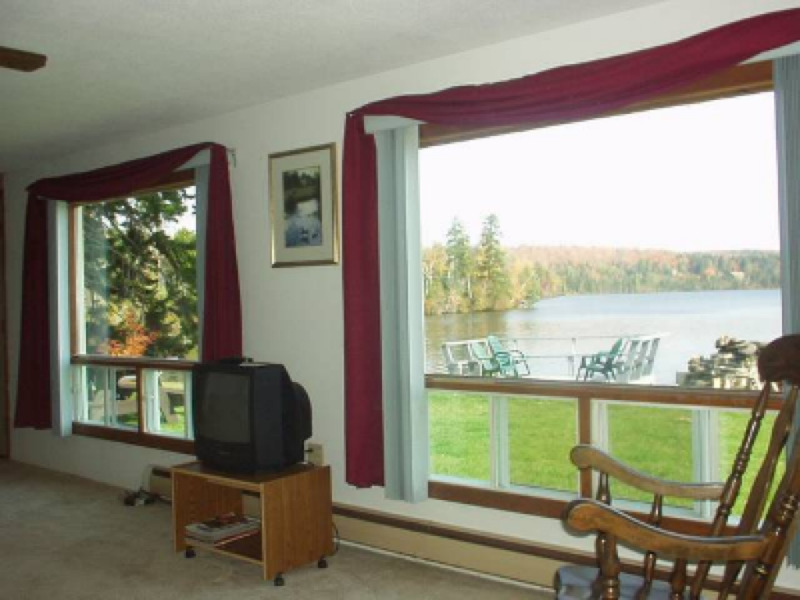 Wake up to the sounds of water gently lapping at the shoreline just feet from your front door. Whether hiking, boating, fishing, hunting, snowmobiling, 4-wheeling, or just relaxing on the deck of this vacation cabin nestled among the fir and spruces nearby, you are sure to enjoy this pristine setting. 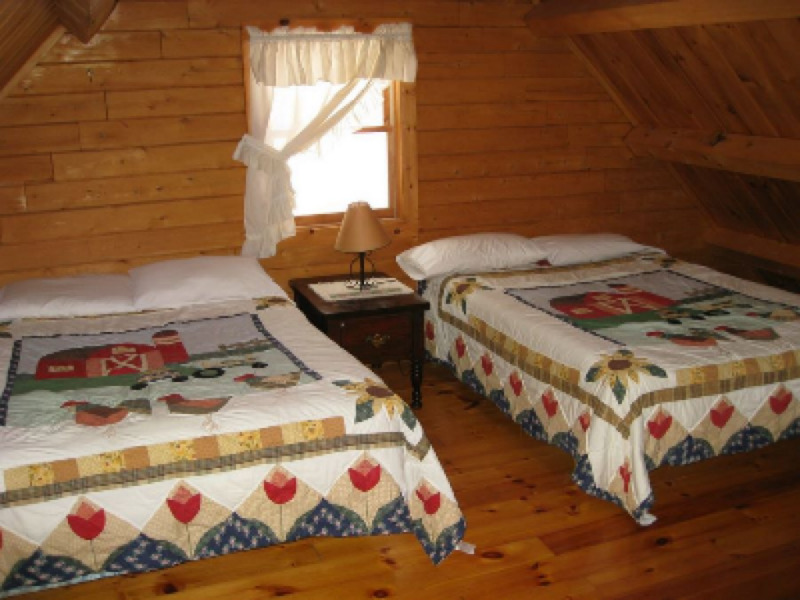 Moon Rising Lodge features two queen size bedrooms, a loft with two double beds and a queen sized fold out sofa to accommodate a maximum of eight guests. 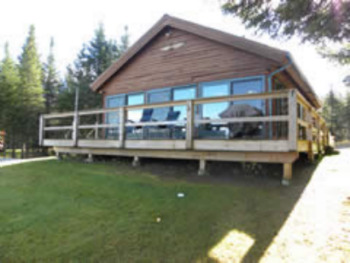 The cabin has a full bath, a completely equipped kitchen and a gas fireplace in the spacious living area with floor to ceiling glass across the entire front to offer an unparalleled view of the lake. 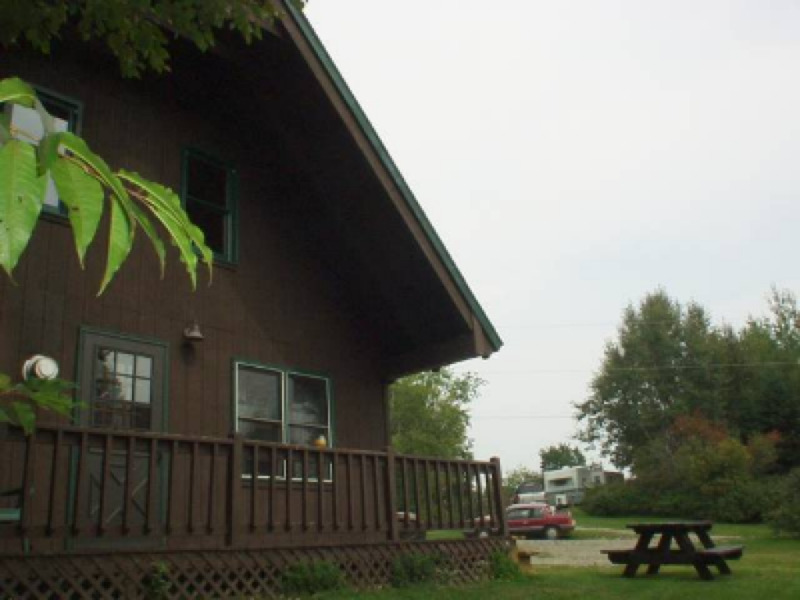 Moon Rising Lodge is located at 198 Spooner Road in Pittsburg. 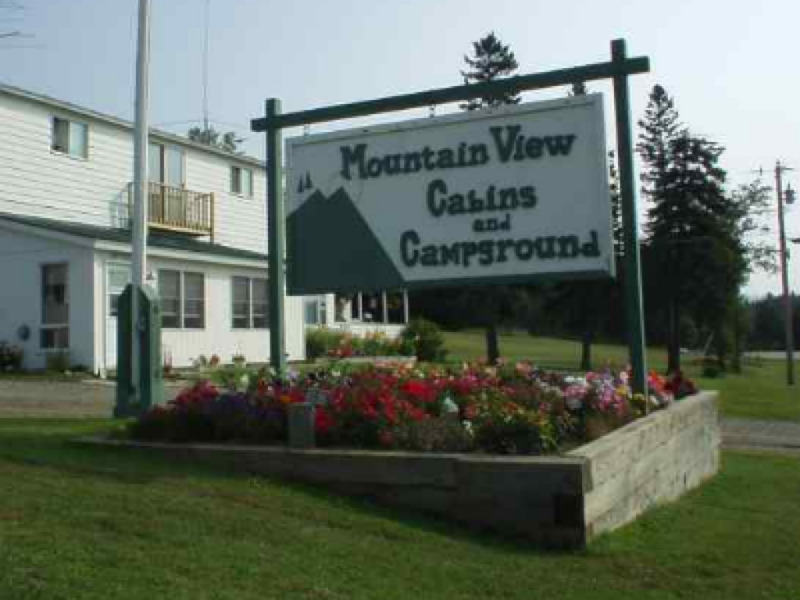 Mountain View has seven cabins at the office location on Route 3. 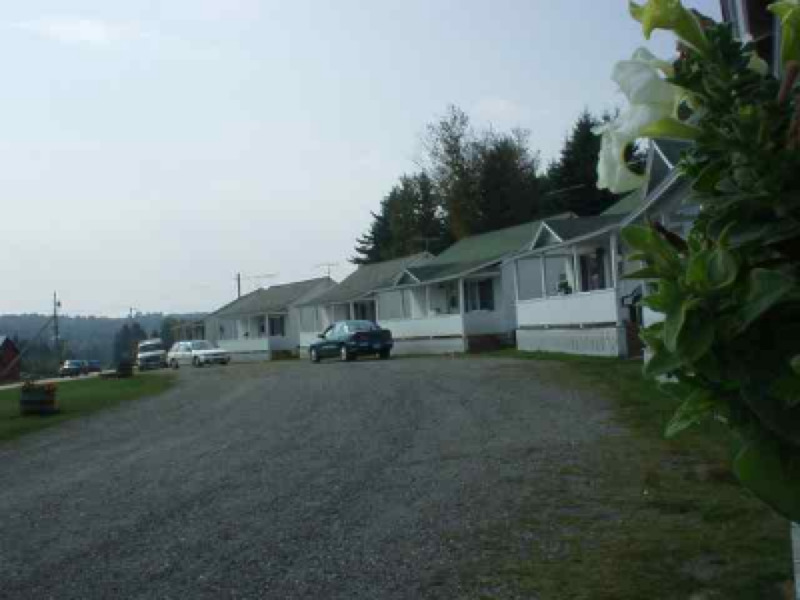 One and two bedroom cottages are available. 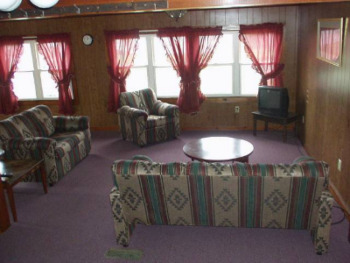 Each has a kitchenette, satellite tv, and wifi access. 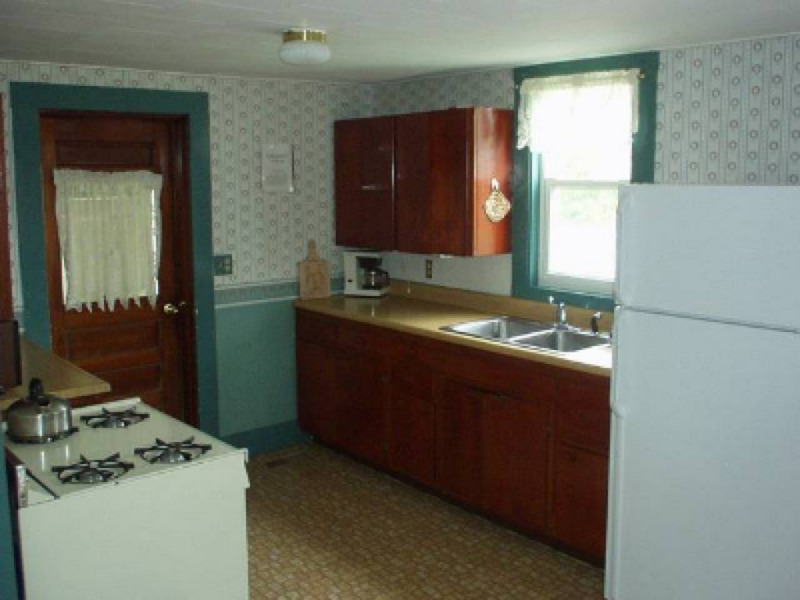 All linens and cooking utensils are provided. 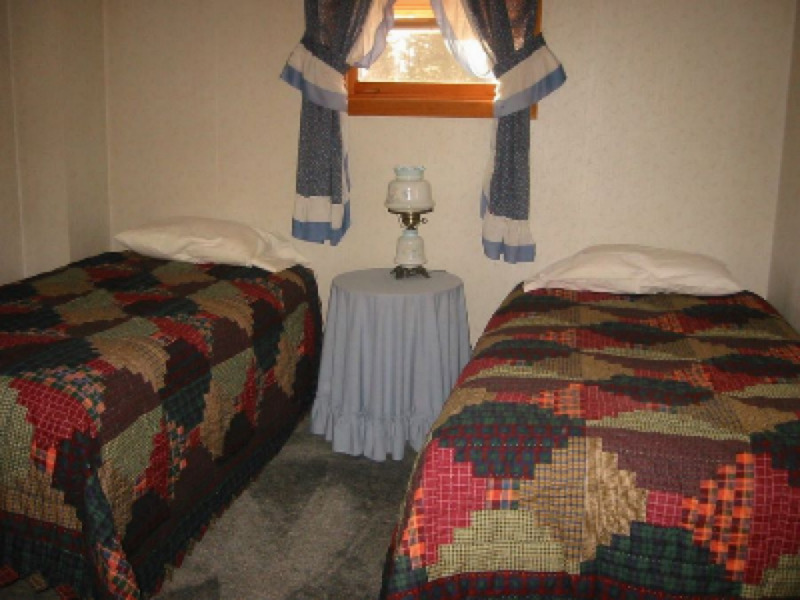 All cabins have central heat, as well. 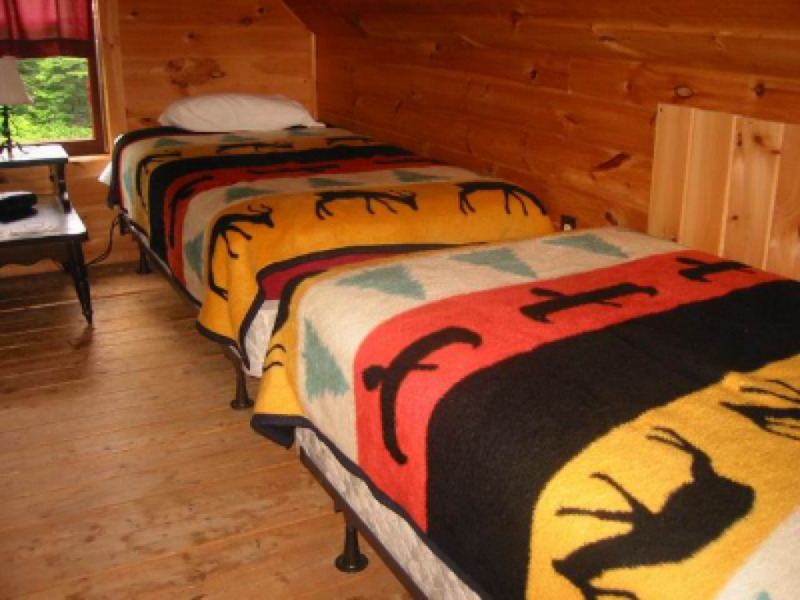 The cabins sleep from 2 to 5 people. 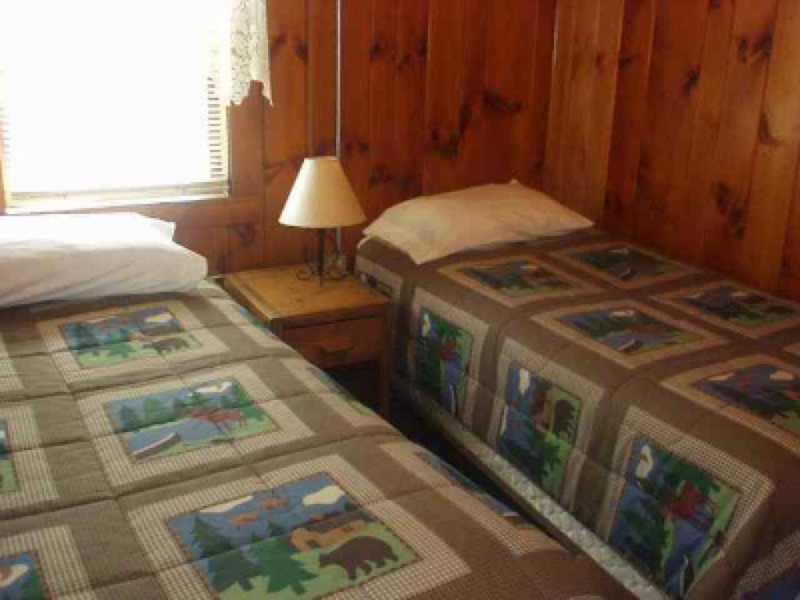 The cabins are all non smoking. 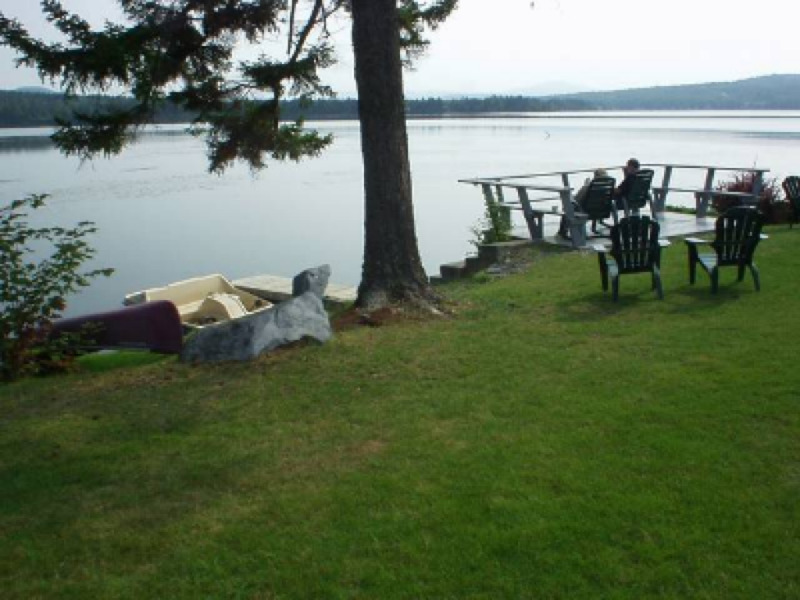 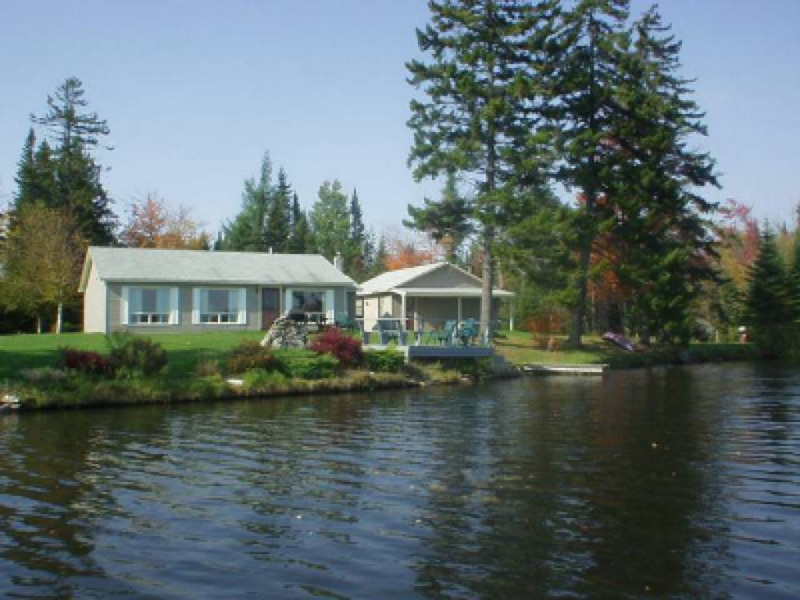 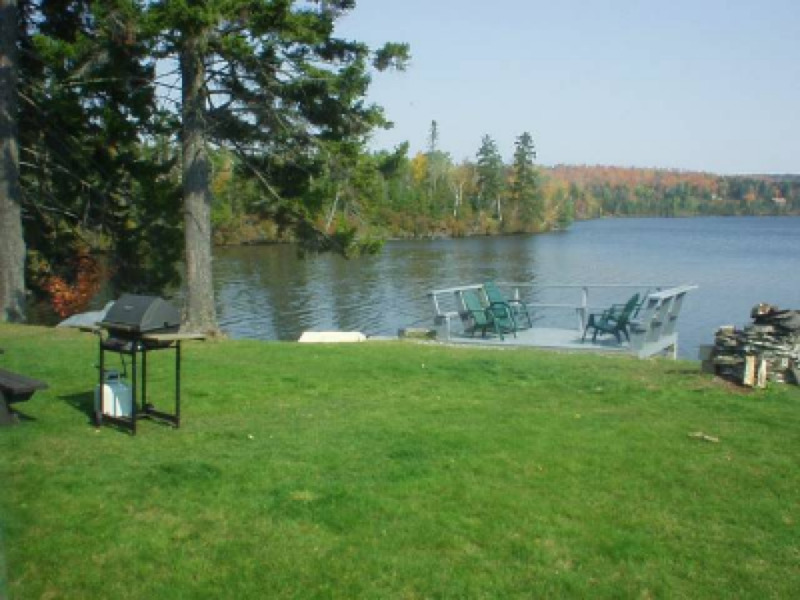 Nellie's Lakeside Retreat is a secluded, lovely getaway that is very private and has 220 feet of private lake frontage. 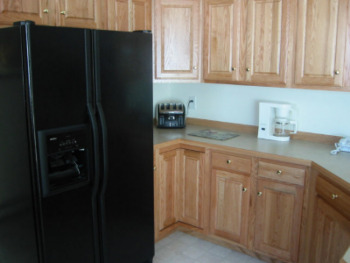 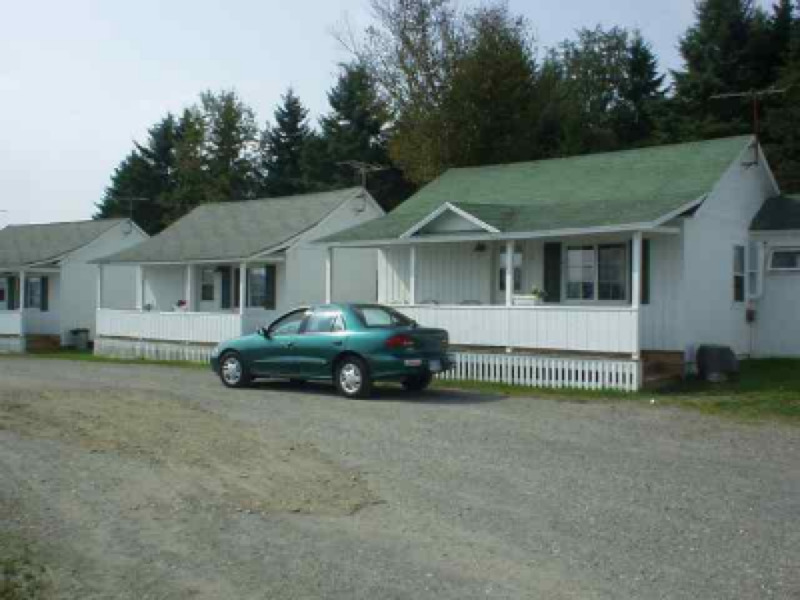 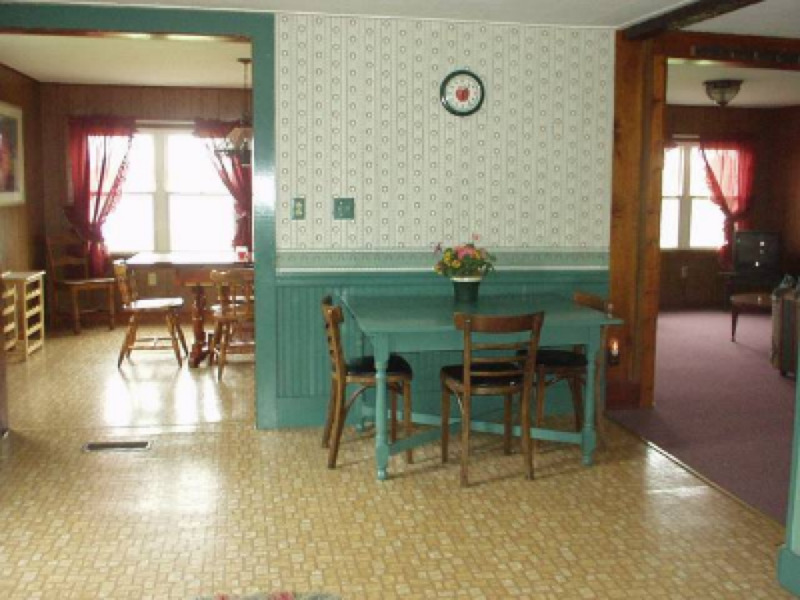 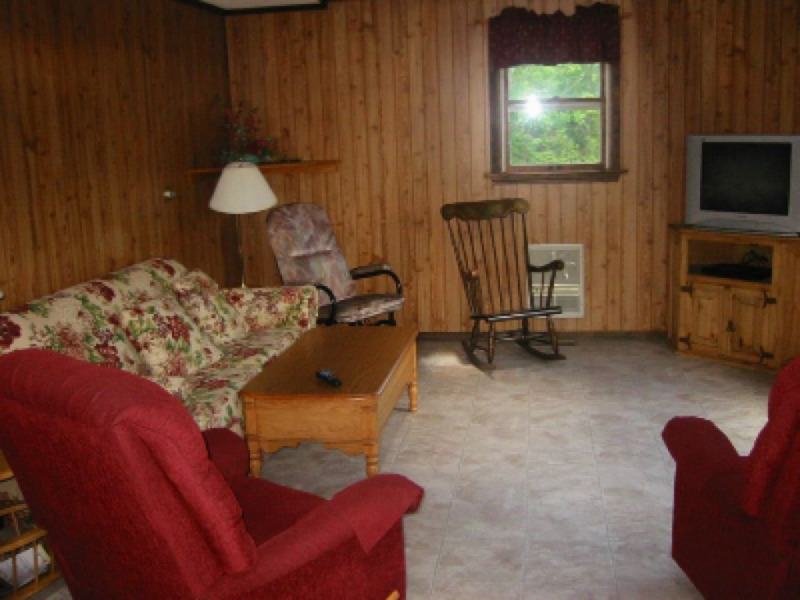 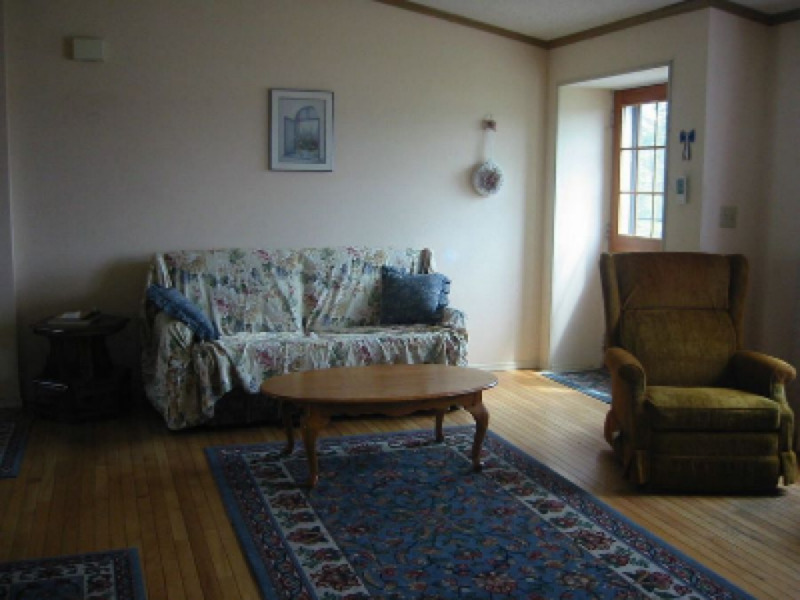 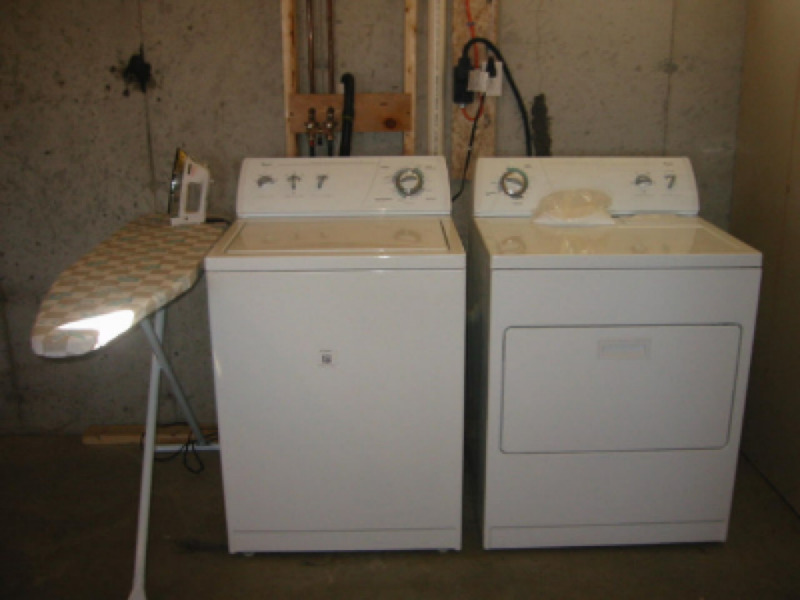 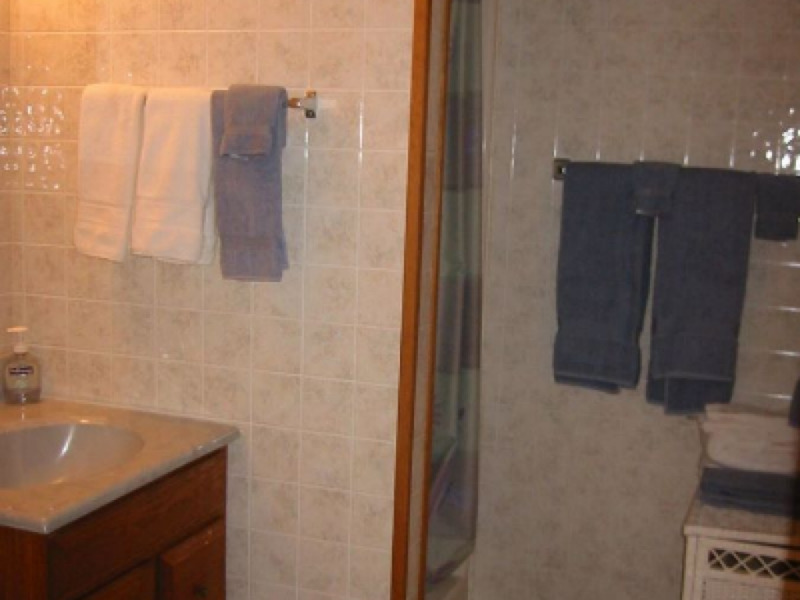 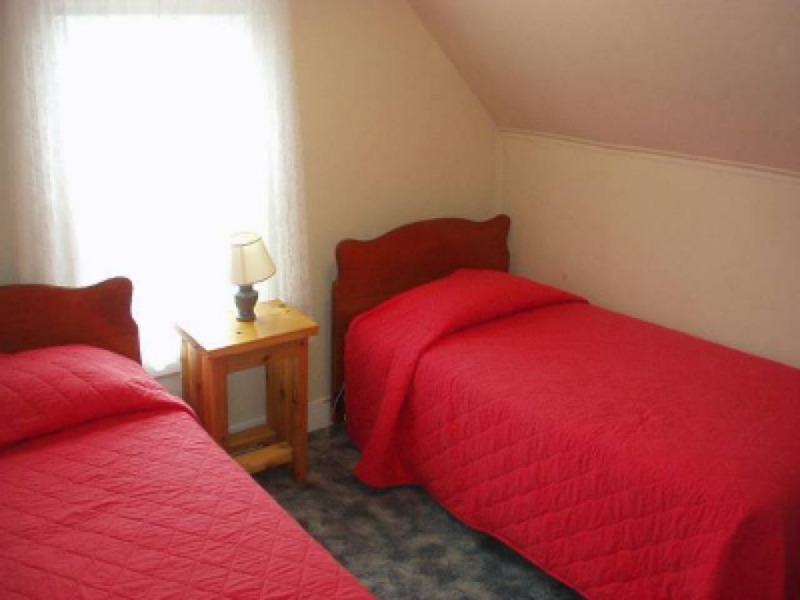 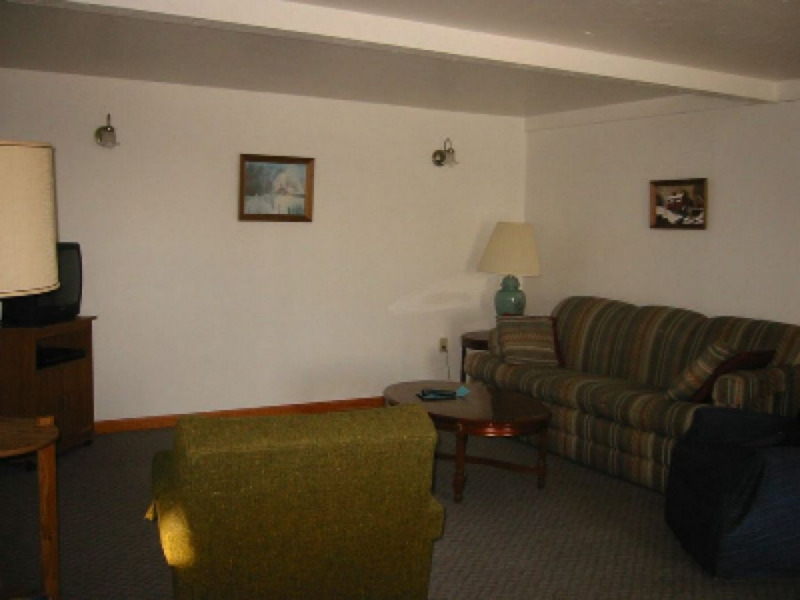 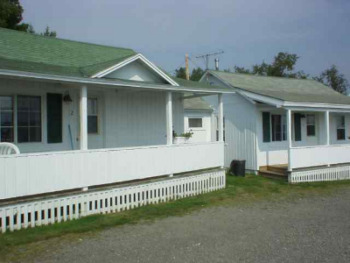 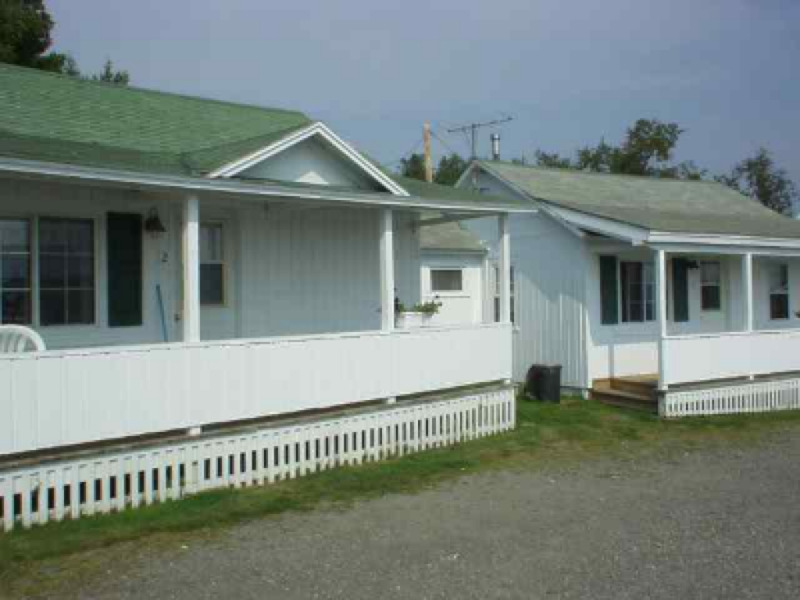 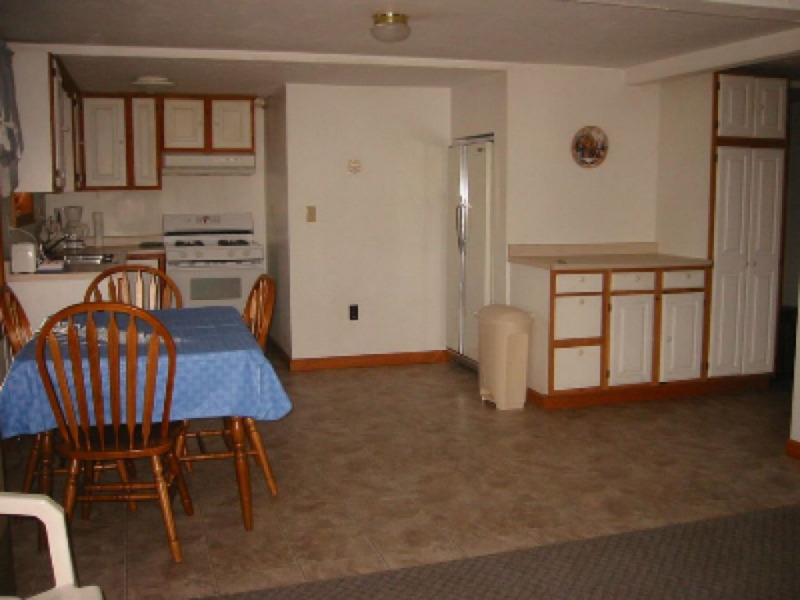 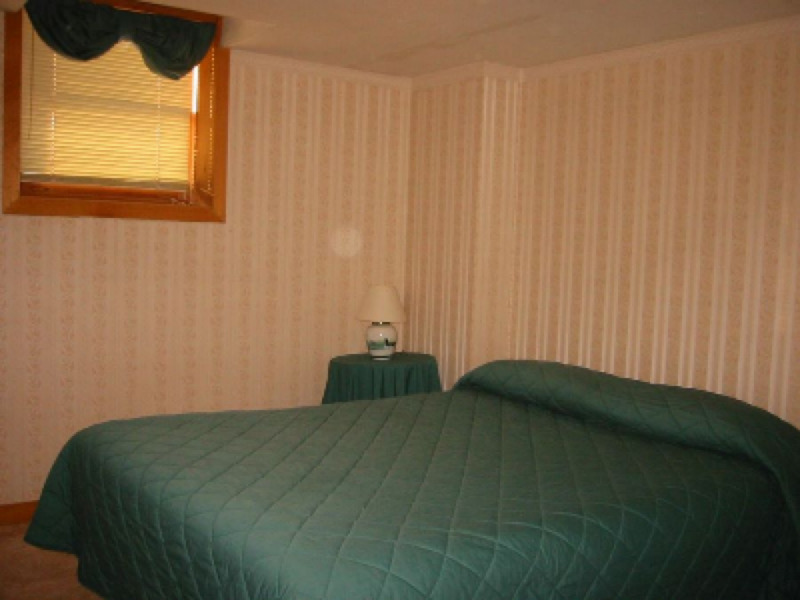 This is a two bedroom cottage that includes cable tv, telephone, internet access, washer and dryer, and a dishwasher. 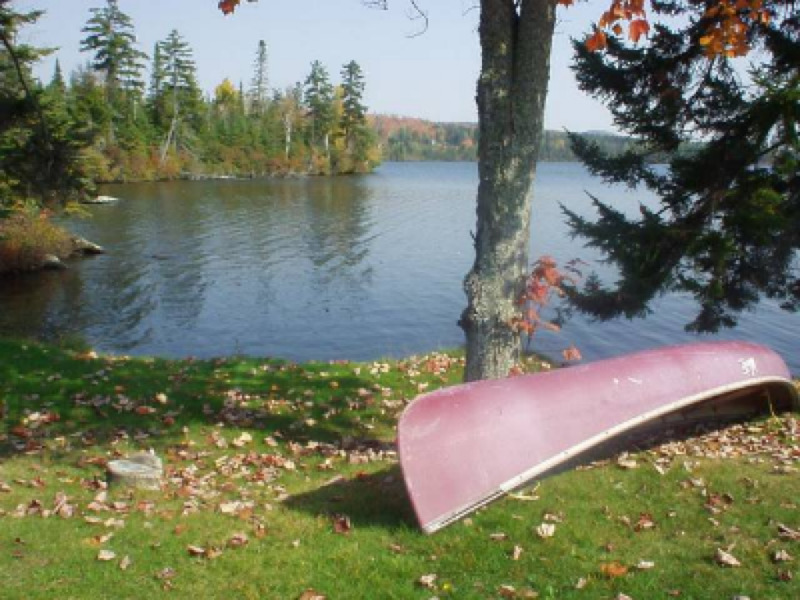 Staying at Nellie's also gives you an opportunity to use the canoe, paddle boat, and outside fireplace. 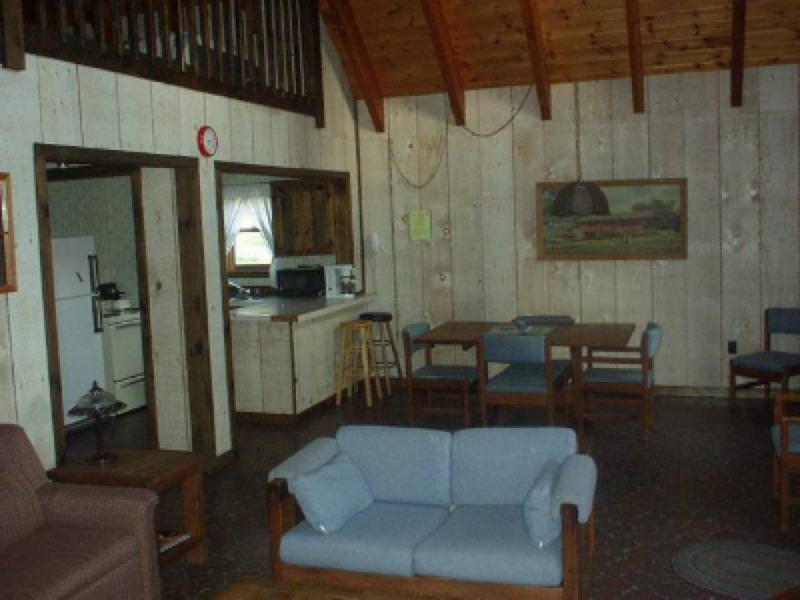 The perfect "vacation home" away from home. 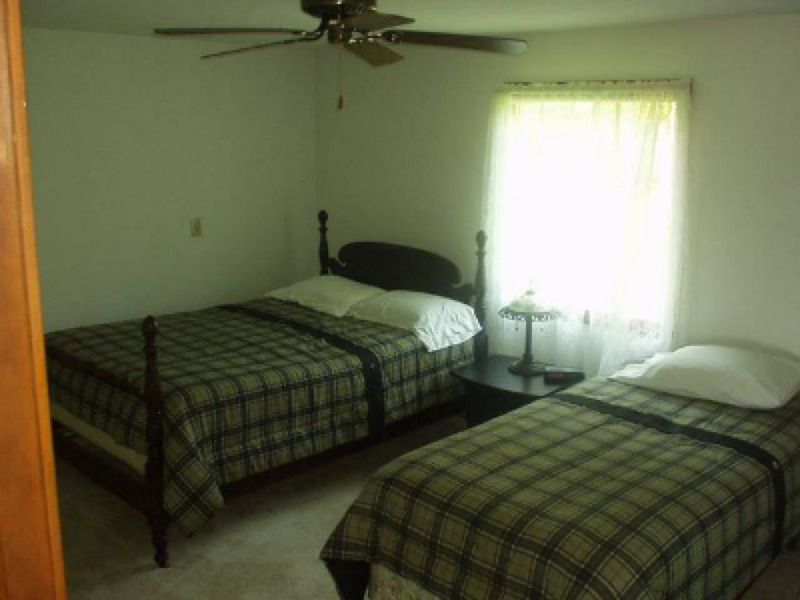 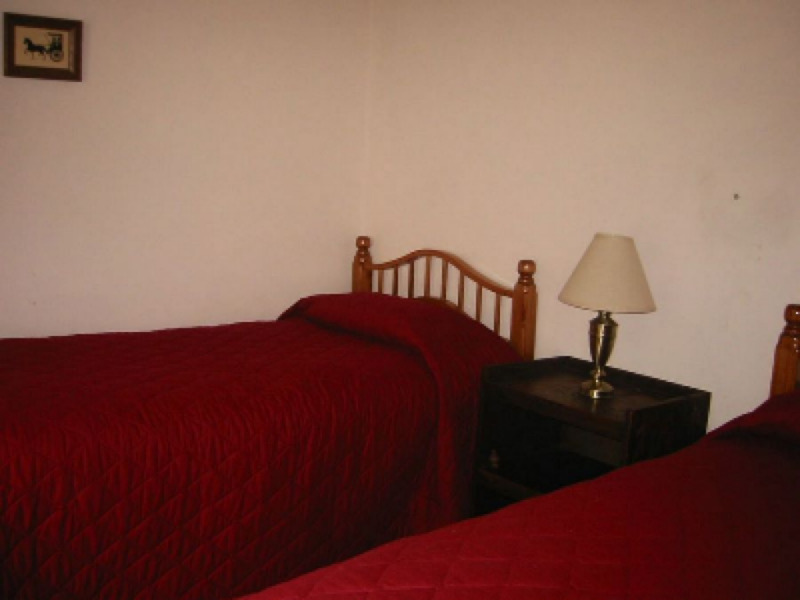 Beds include 1 queen bed, 1 double bed, 2 twin beds, and a pull out queen sofa. 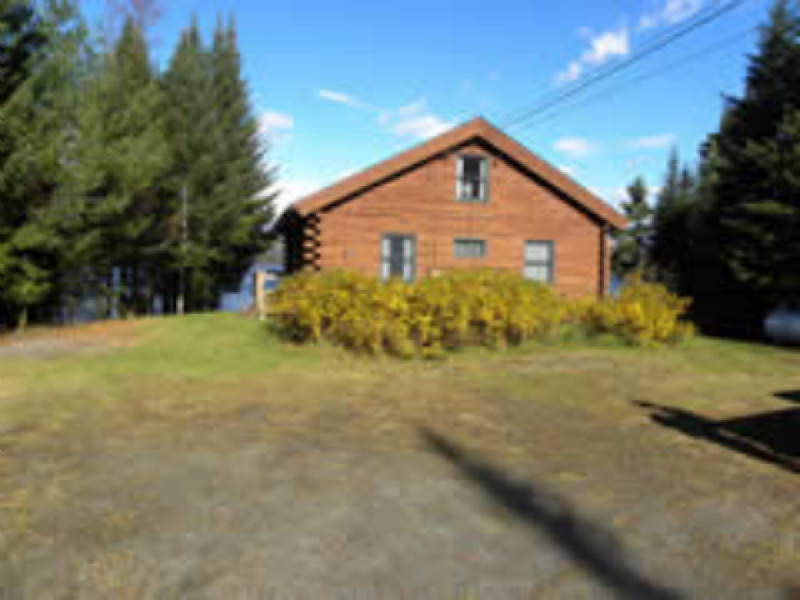 Reilly's Retreat is located 1/4 mile off Back Lake Road on Roger's Pond Road, across from Mallard Cove. 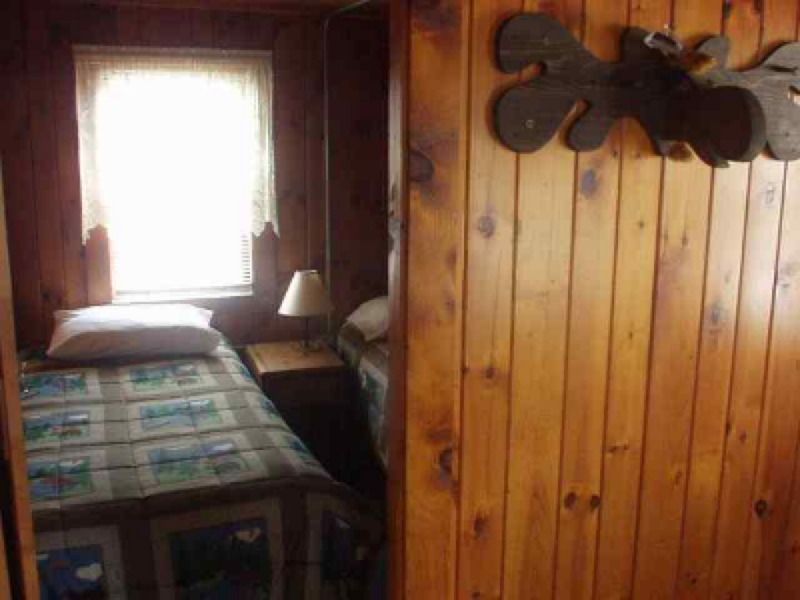 This is a secluded chalet, with four bedrooms. 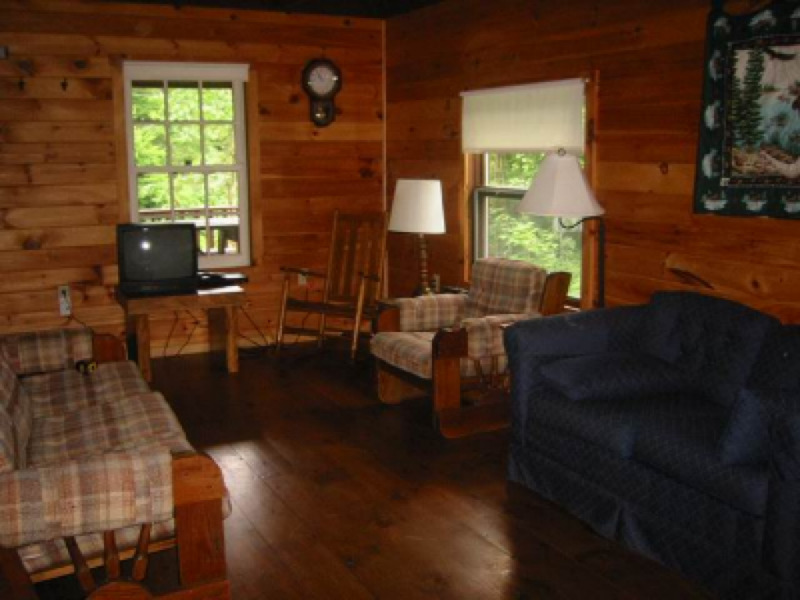 Located on a wooded lot, this is a great spot for getting away from the hectic city life. Room enough to sleep 8 people. 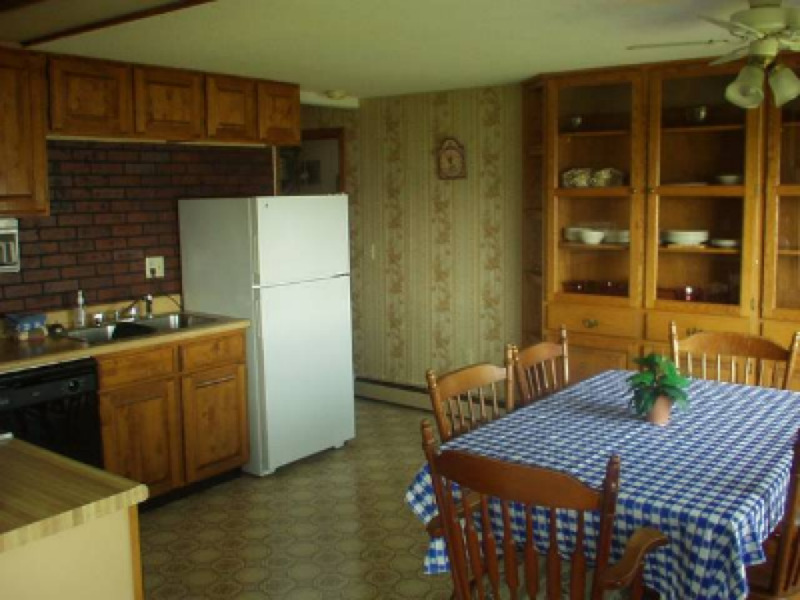 It includes a kitchen, dining, living area, and front porch. Satellite tv, gas grille and outdoor fire pit are included. 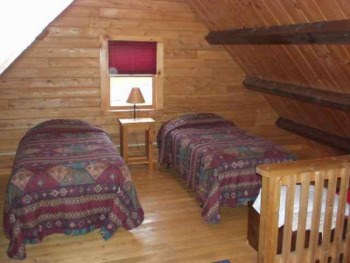 The Chalet At Mountain View actually offers two locations (#8 & #9), each of them offering 2 private bedrooms and a loft for additional beds (1 queen, 6 twins, and pullout sofa bed sleeping 8). 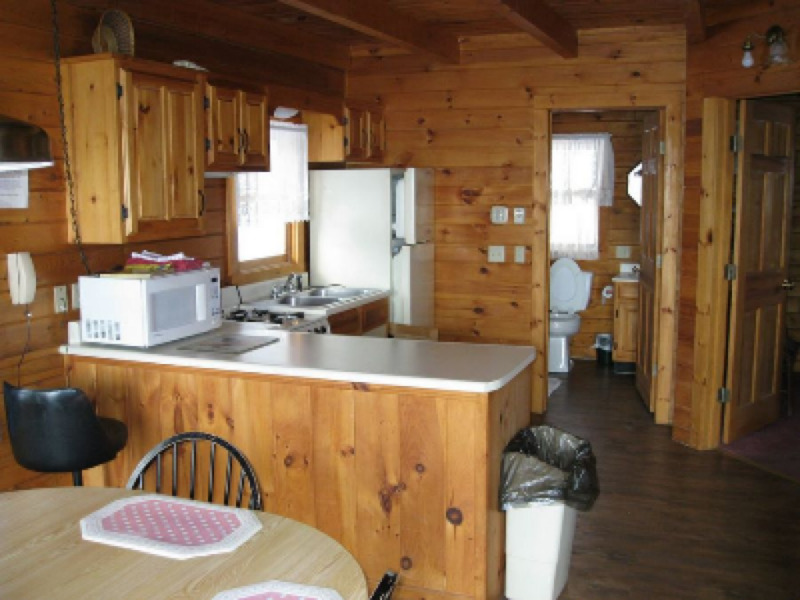 The Chalet's also feature a bricked hearth and gas log fireplace, central heat, satellite tv, telephone, a full kitchen, microwave, gas grill and outside fire place. 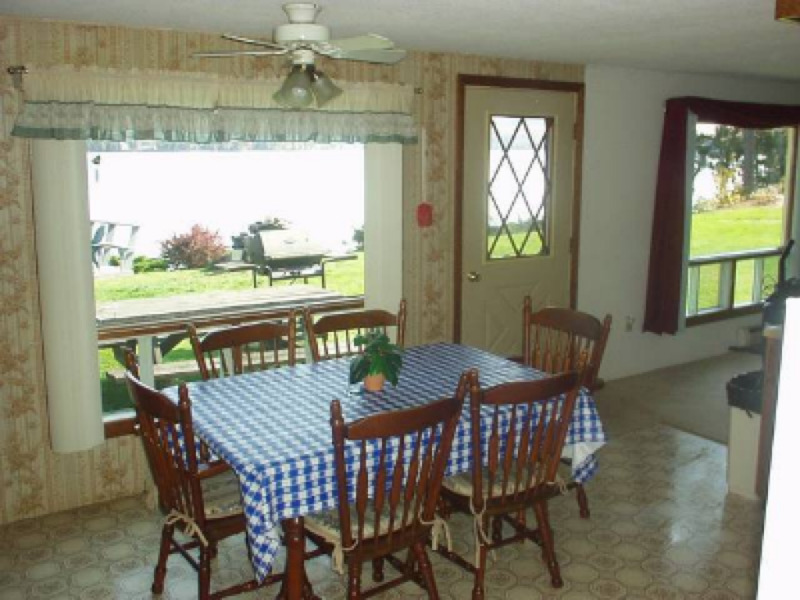 The Farmhouse is a perfect spot for a family get together. 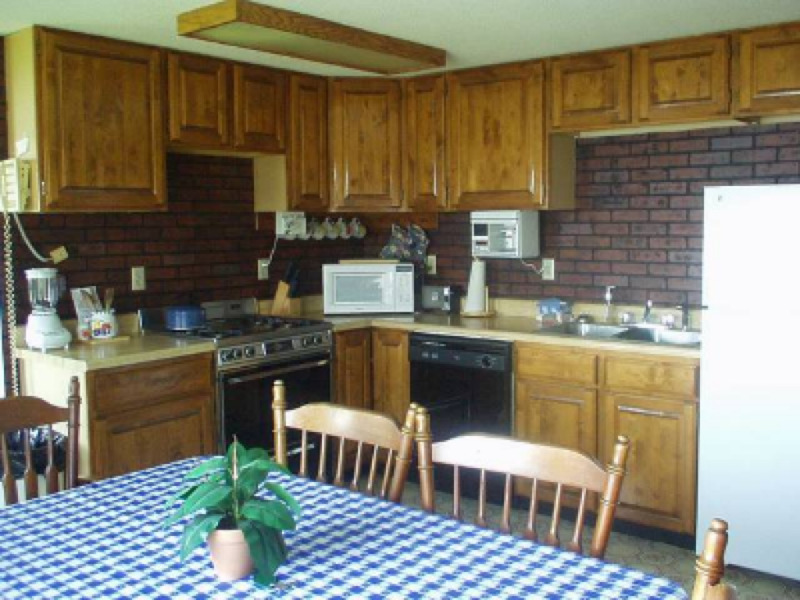 It includes 5 bedrooms, a large eat in kitchen, dining room, and living room. 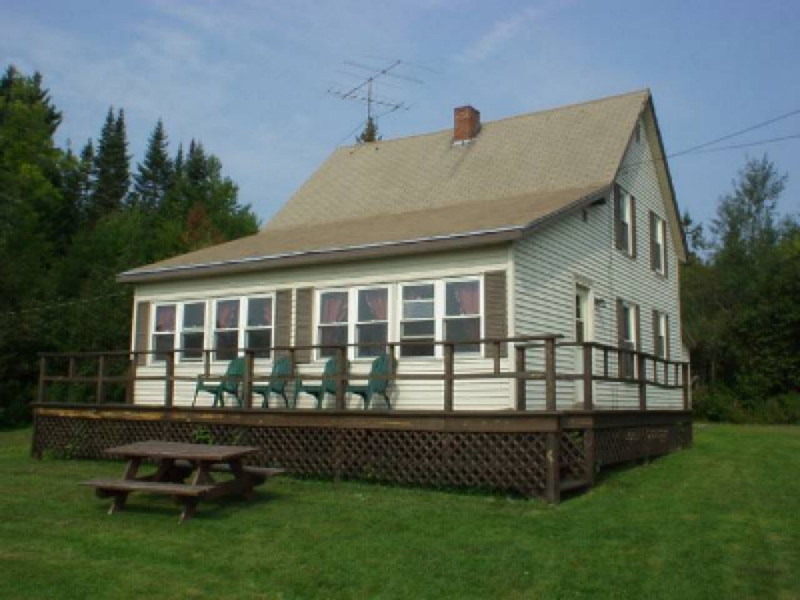 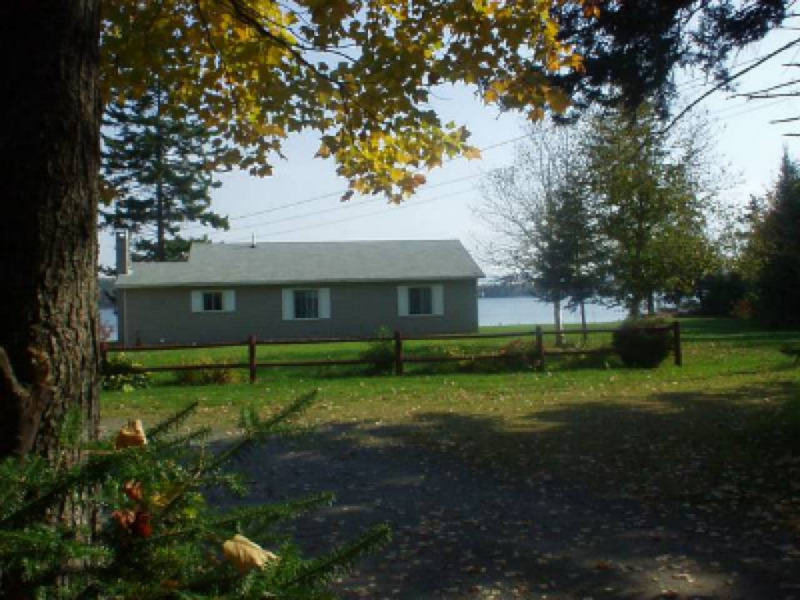 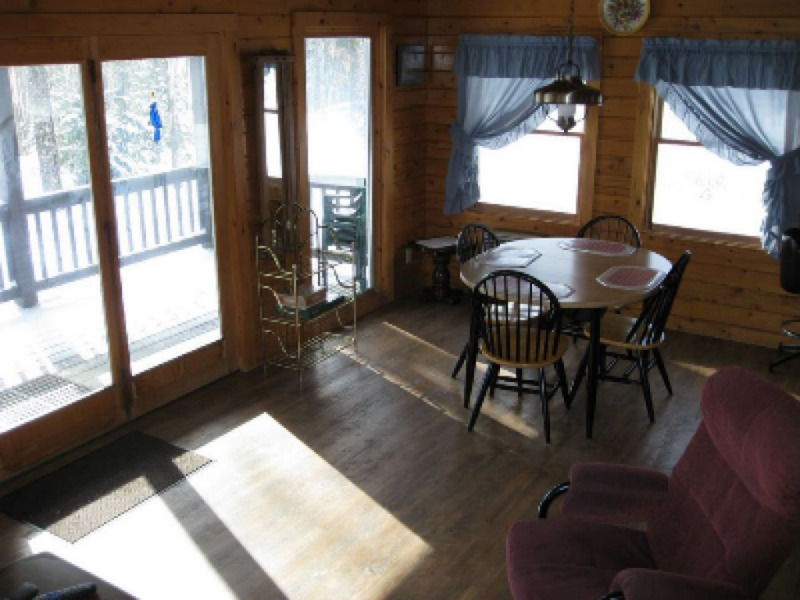 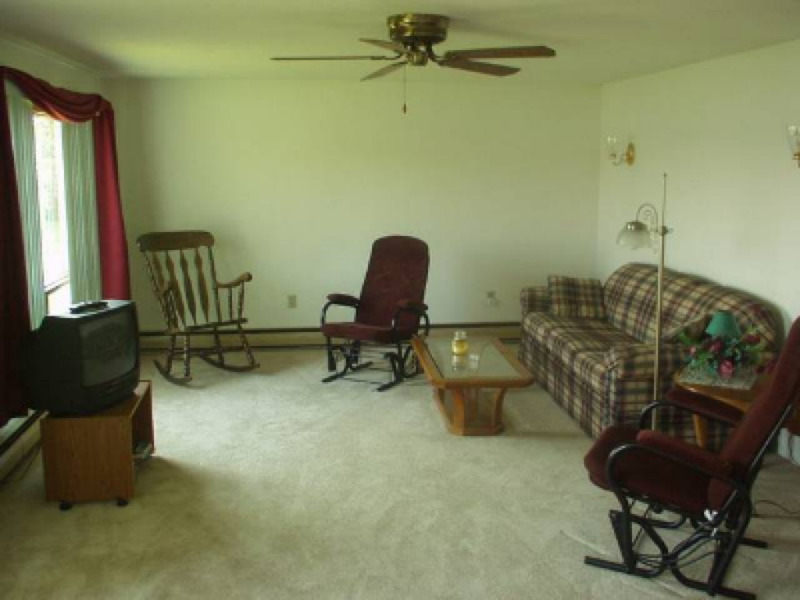 It features cable tv, fireplace, telephone, gas grill, and a deck with a fantastic view out on to Back Lake. 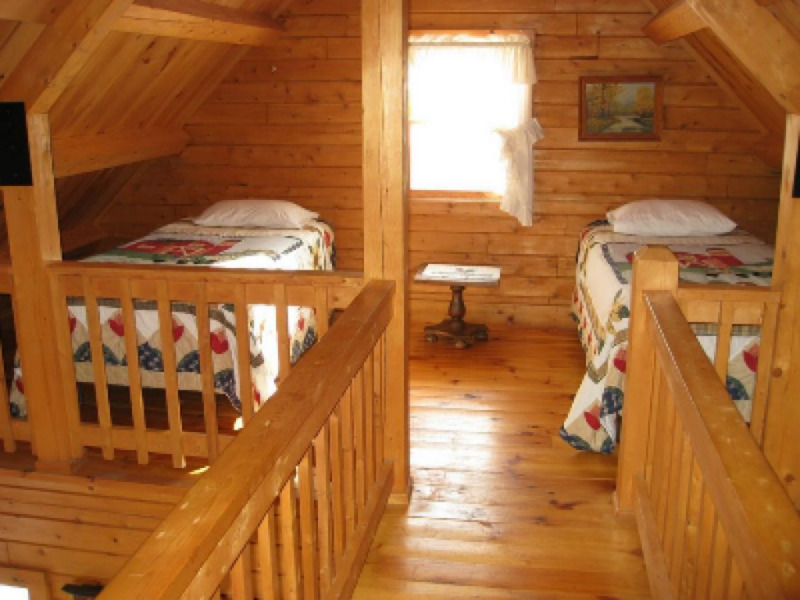 Sleeps 8-10 (one queen, 2 doubles, and 5 twins are the beds, with cots available to sleep more). 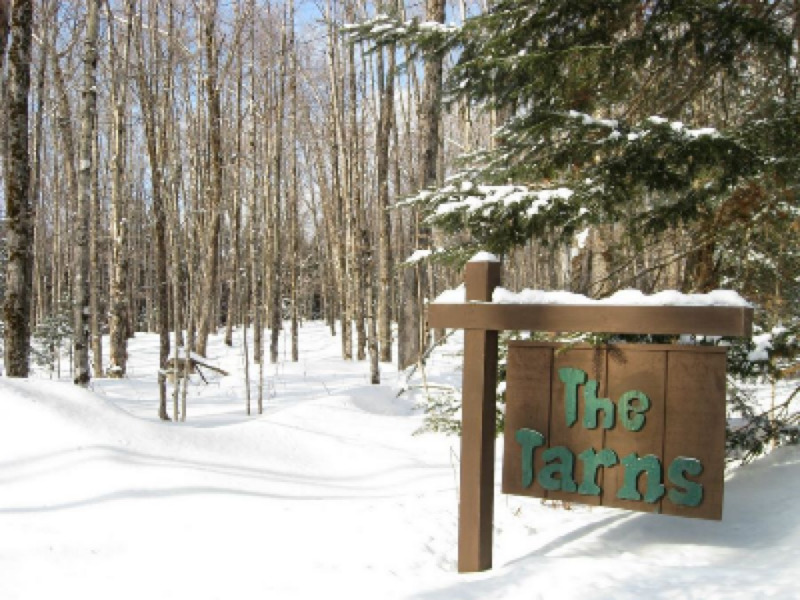 The Tarns is a secluded log cabin high on the hills above Lake Francis. 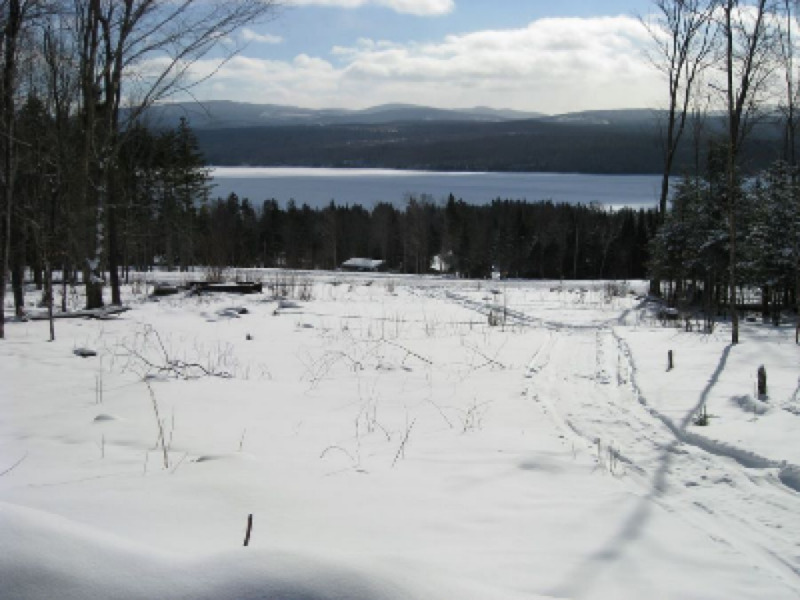 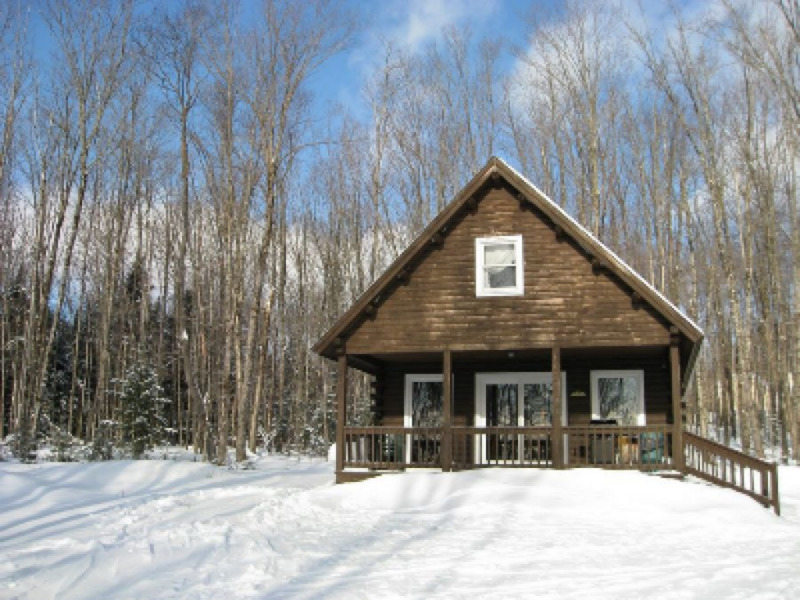 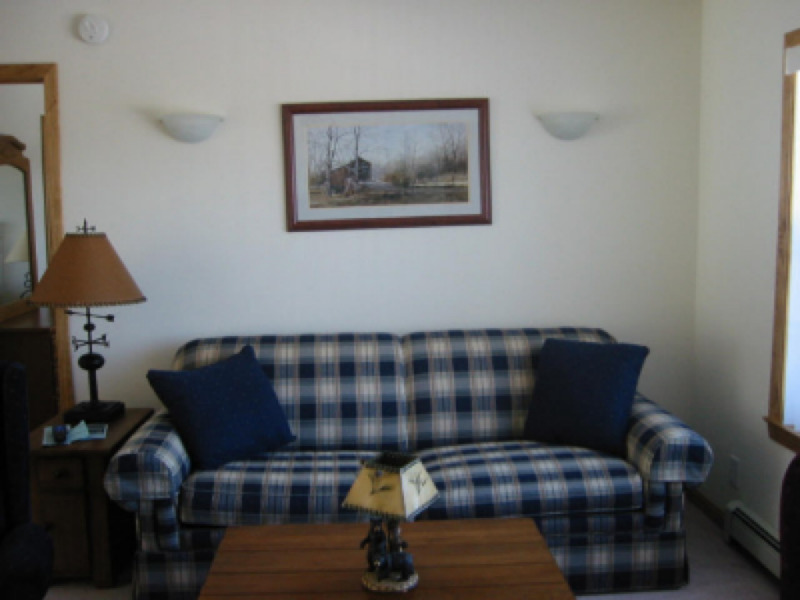 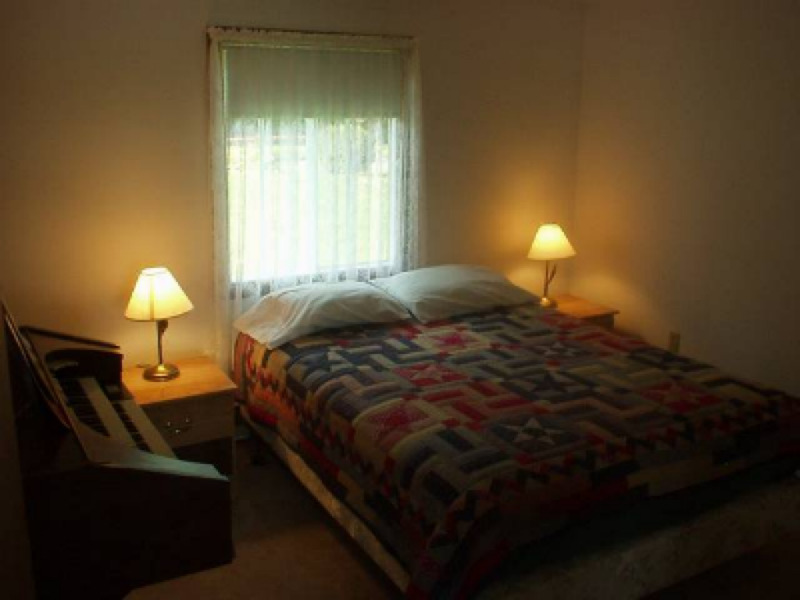 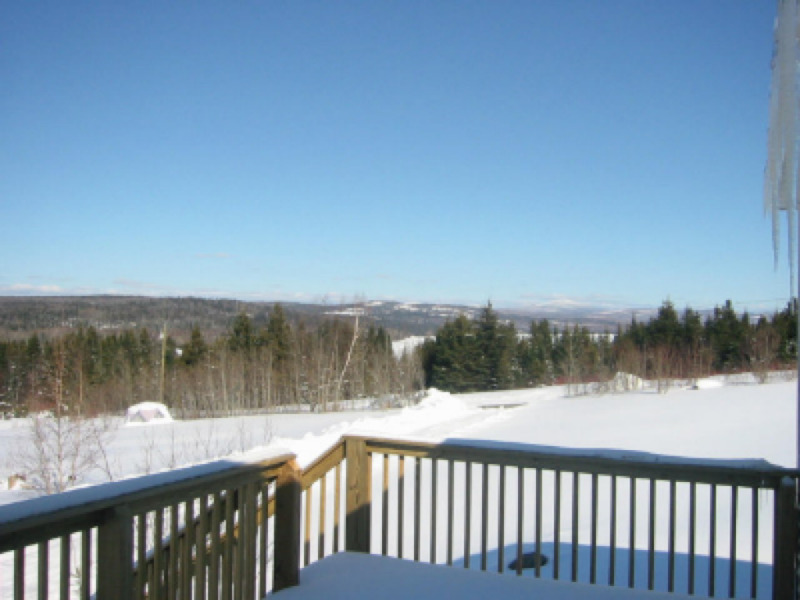 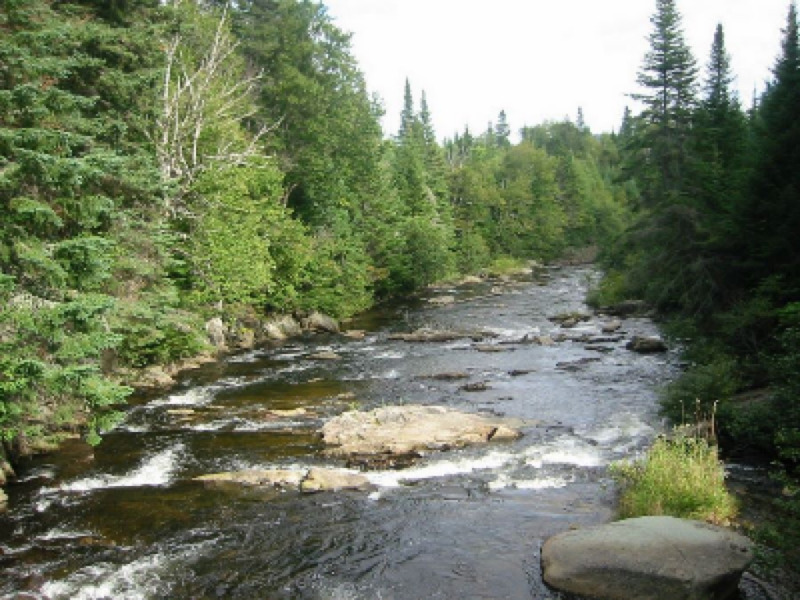 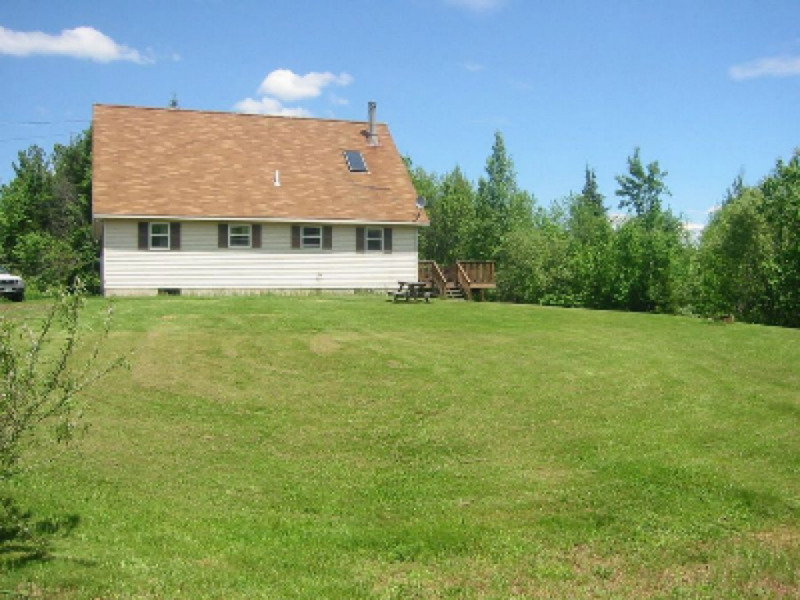 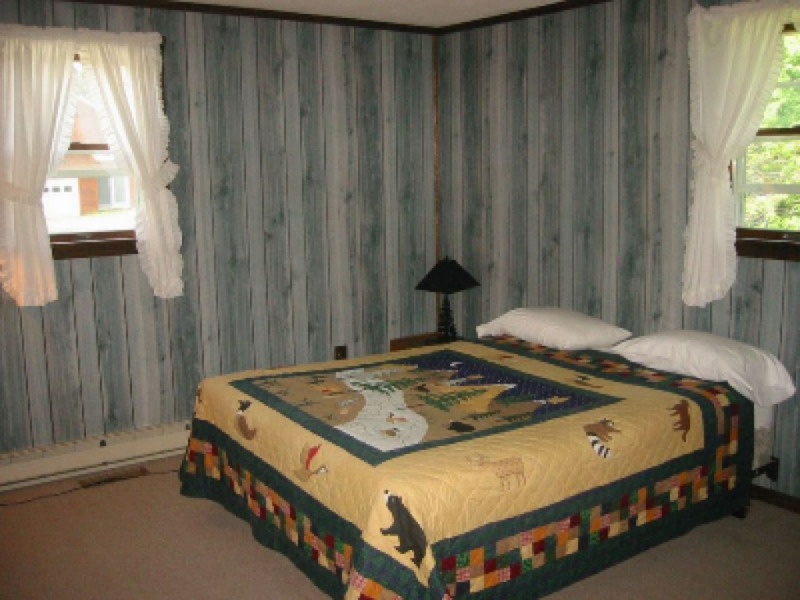 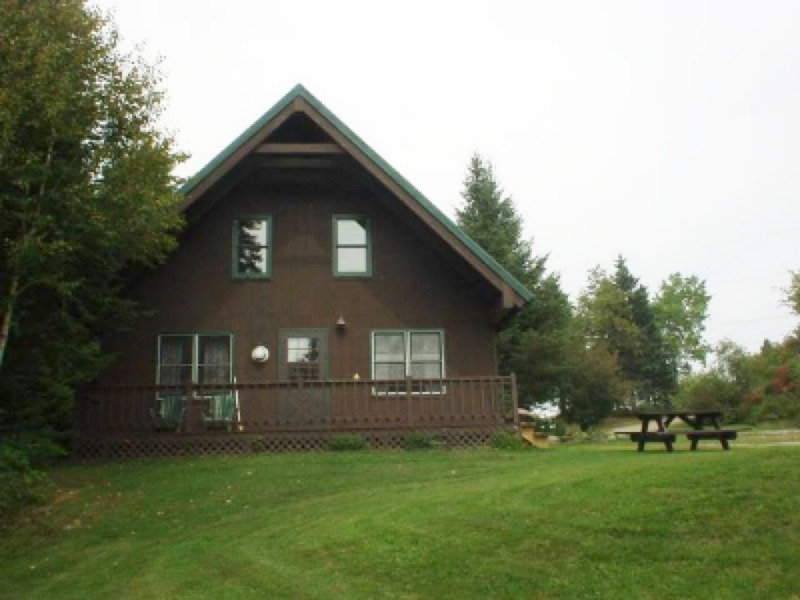 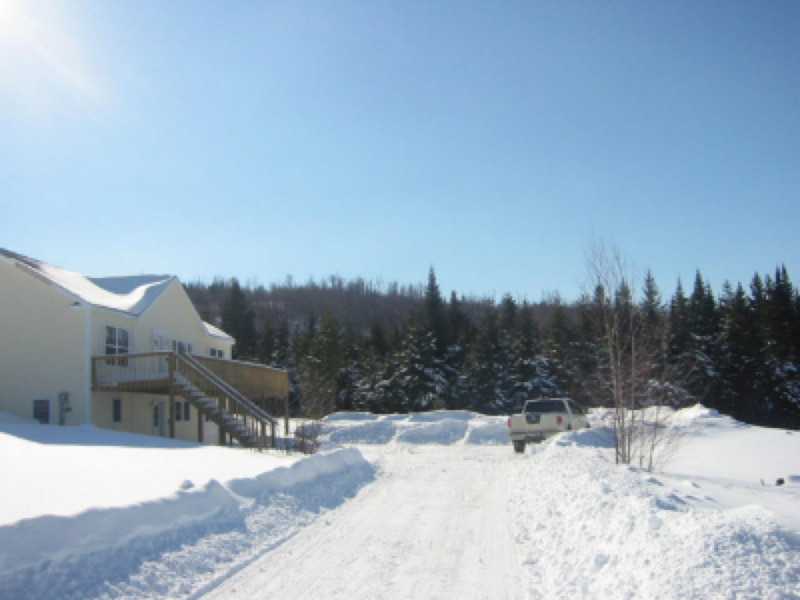 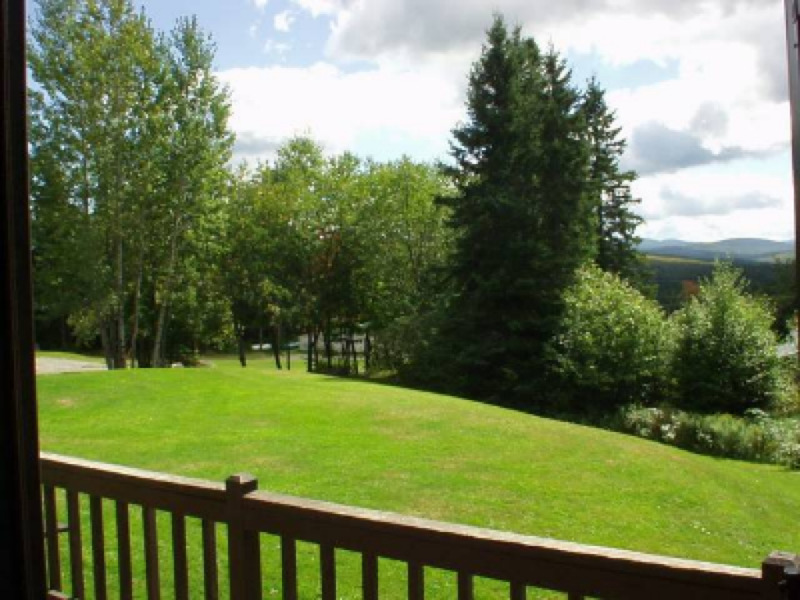 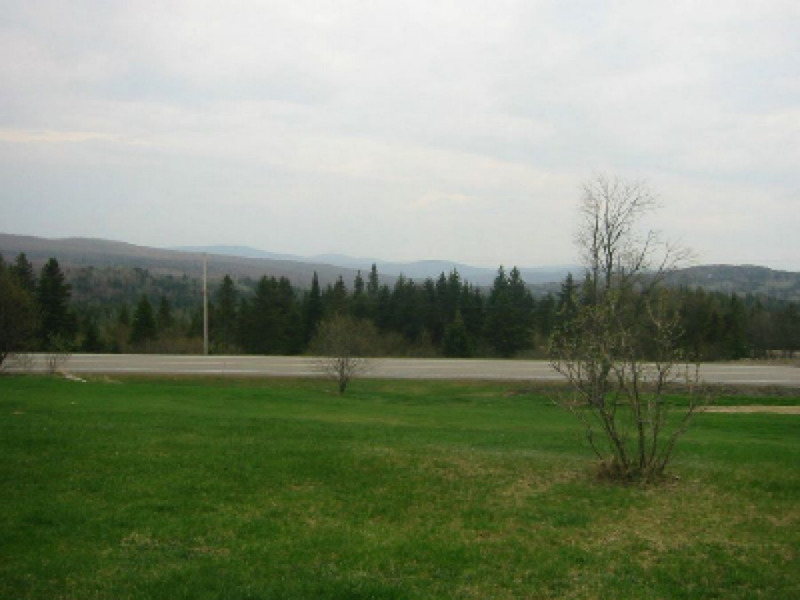 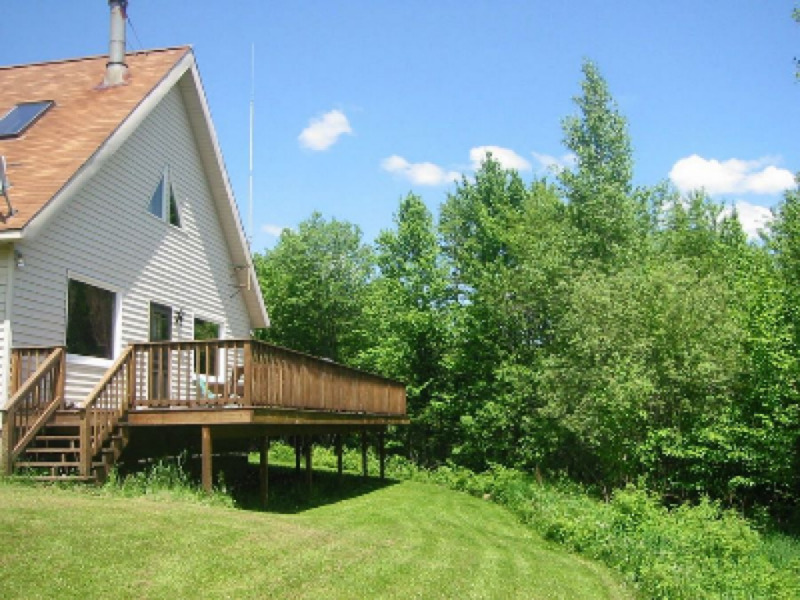 It is a secluded and private wooded area with snowmobile trail access. 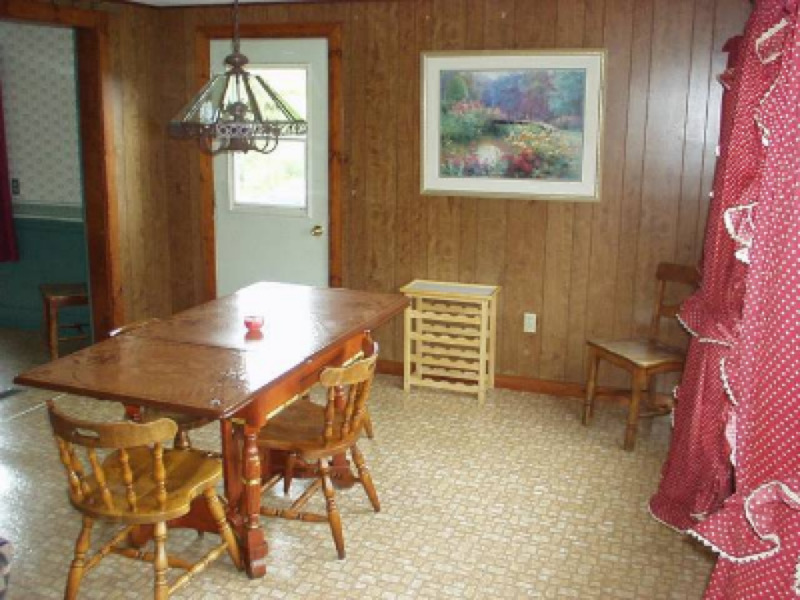 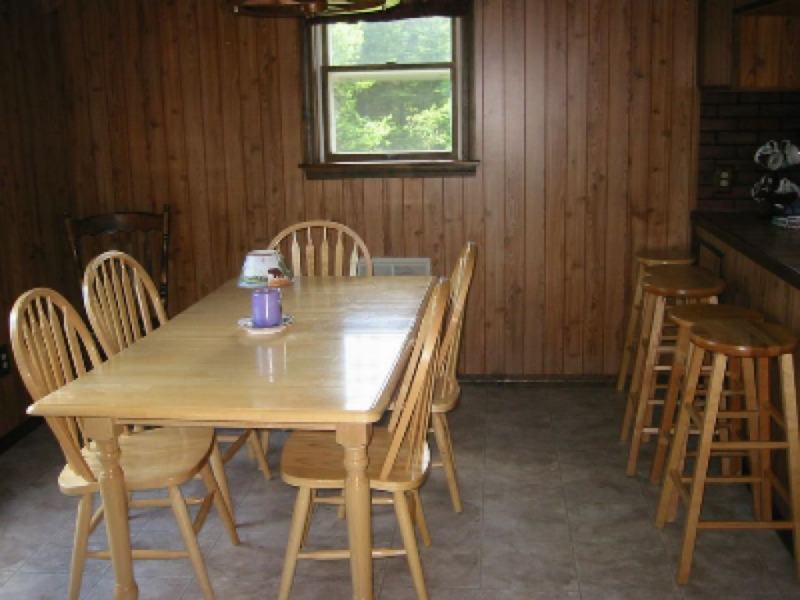 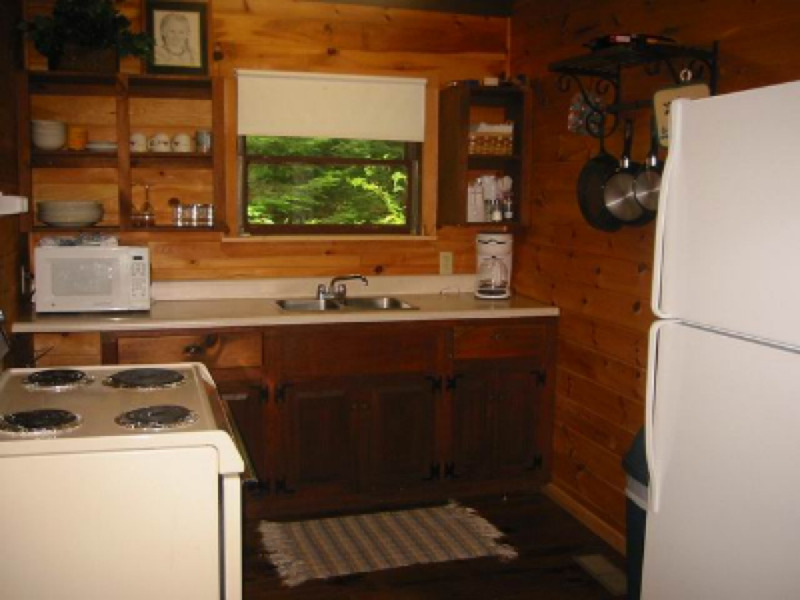 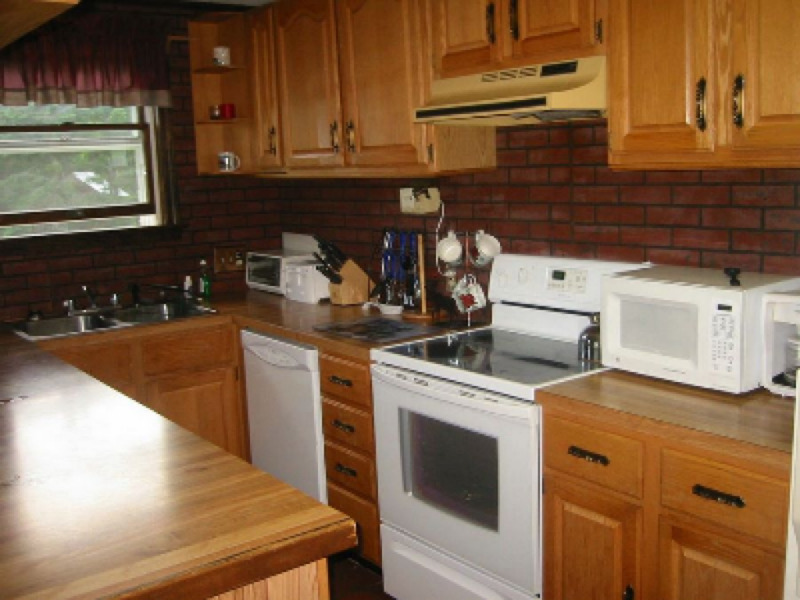 The cabin has a full kitchen, living, and dining area. 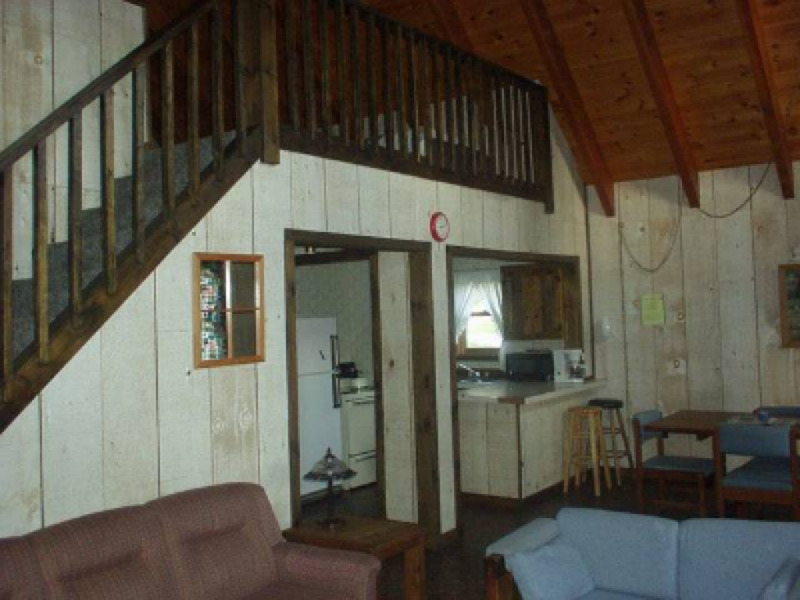 One bedroom downstairs and a catwalk between the two lofts upstairs. 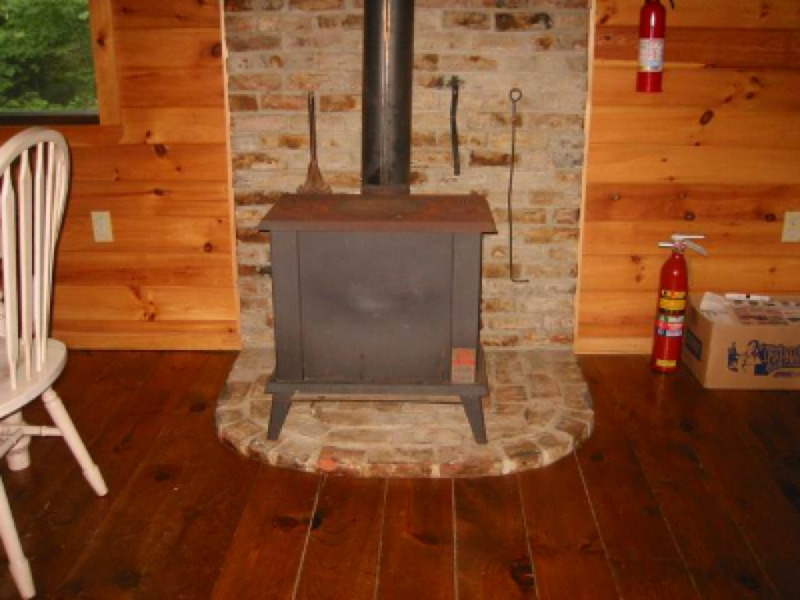 Cable, telephone, gas grill, a gas log fireplace, and an outside fire ring are featured. 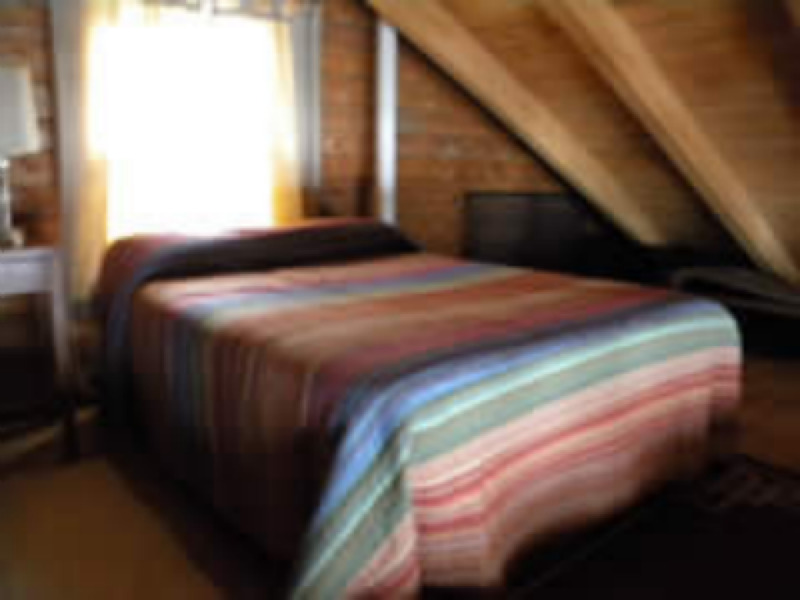 The Tarns sleeps 6 people. 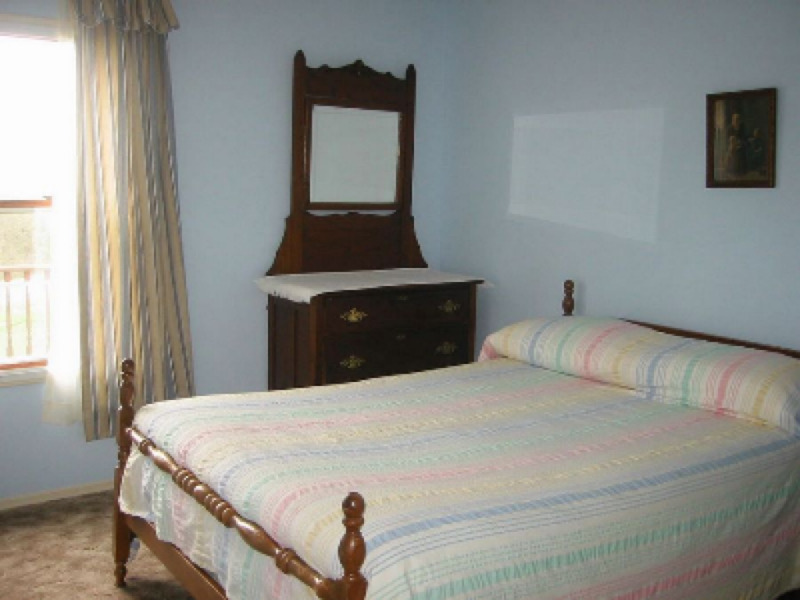 Extra people with cots. Willy's Corner is a two story home with two rental units which are perfect for large groups. 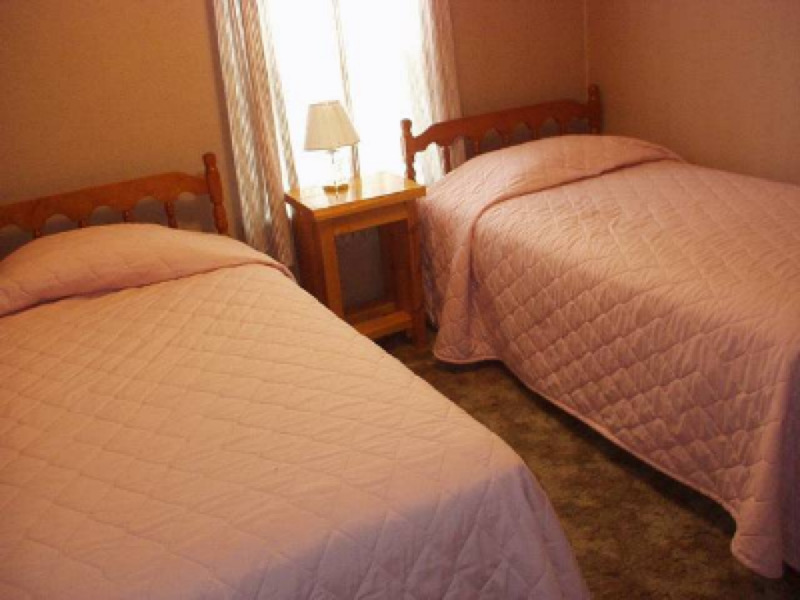 Each unit has a private entrance and lots of parking available. 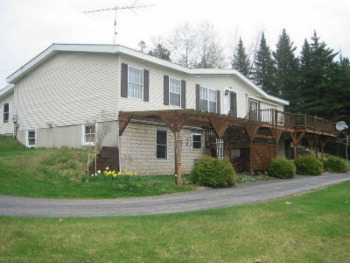 "Willy A" is the upstairs portion of this home which has 3 large bedrooms, two living rooms, two full bathrooms, a kitchen and dining room. 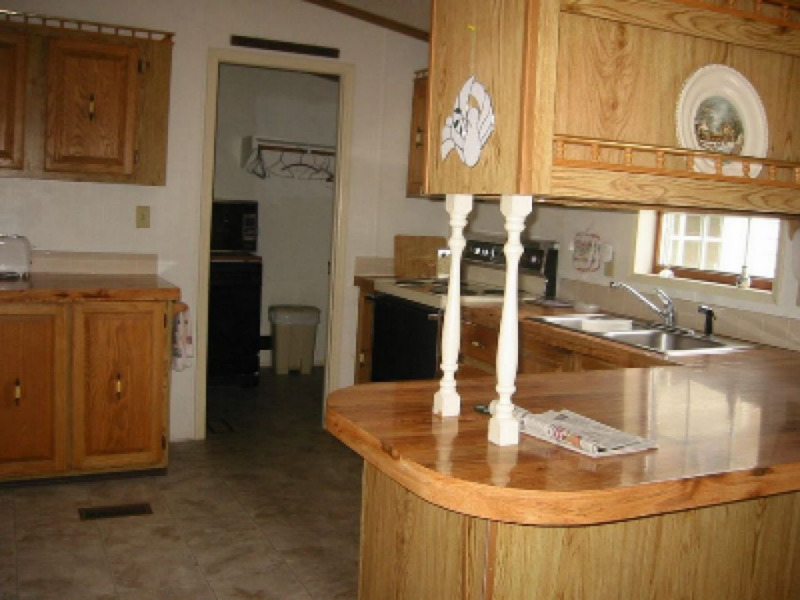 It features a gas log fireplace, satellite tv, telephone, cell phone service, washer and dryer, deck, wifi outside fire pit, and a gas grill. 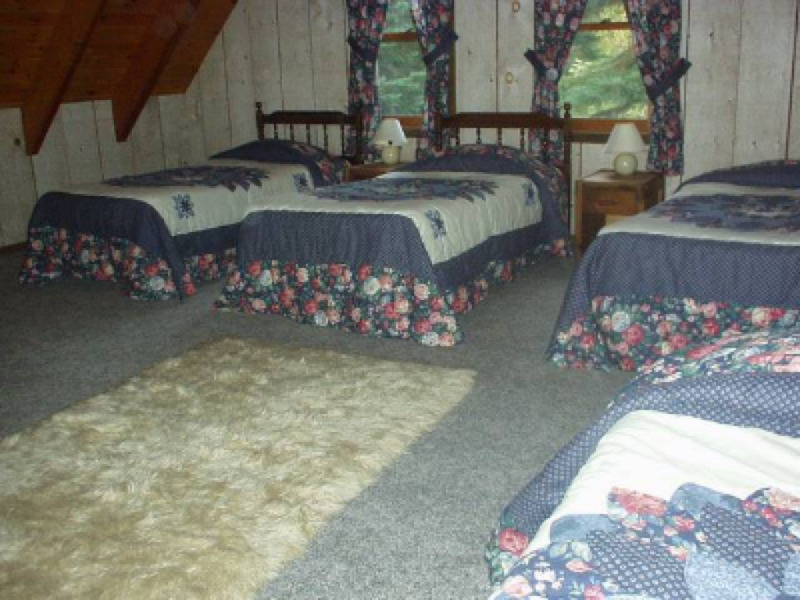 It sleeps 8-10 people. Willy's Corner is a two story home with two rental units which are perfect for large groups. 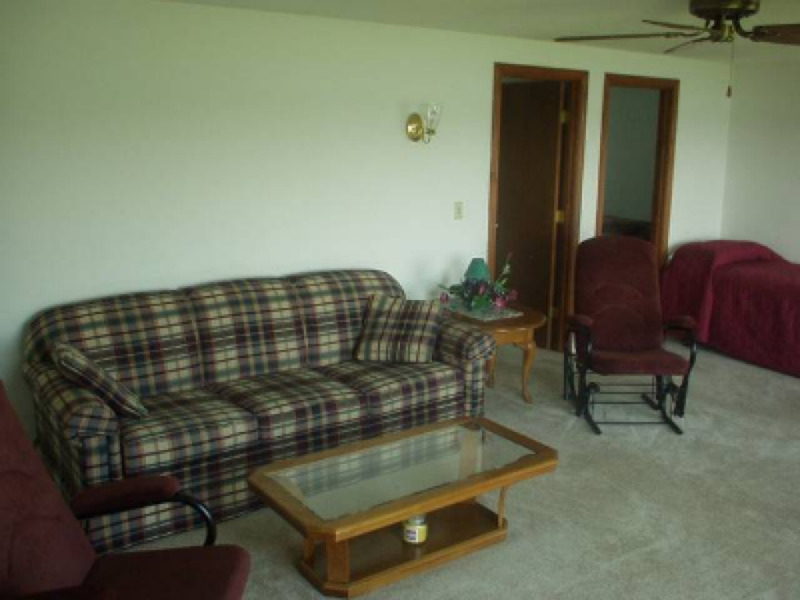 Each unit has a private entrance and lots of parking available. 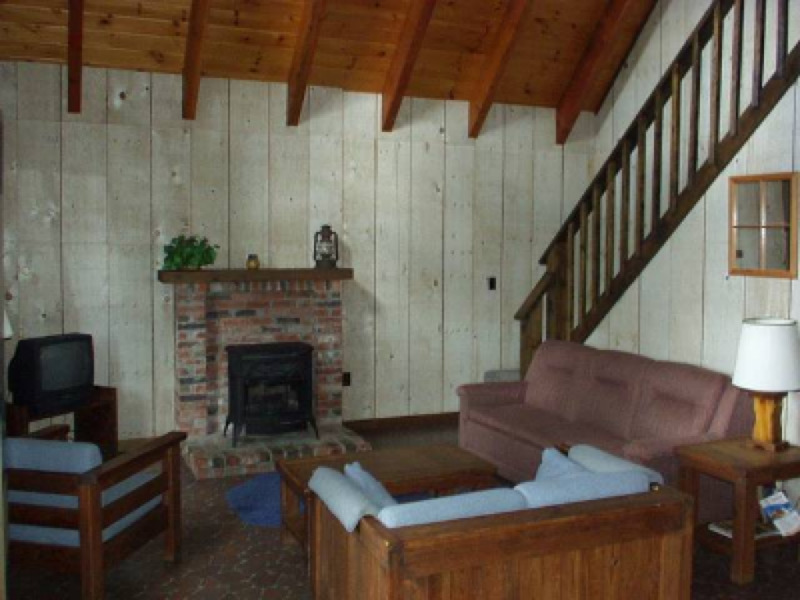 "Willy B" is the downstairs portion of this home. 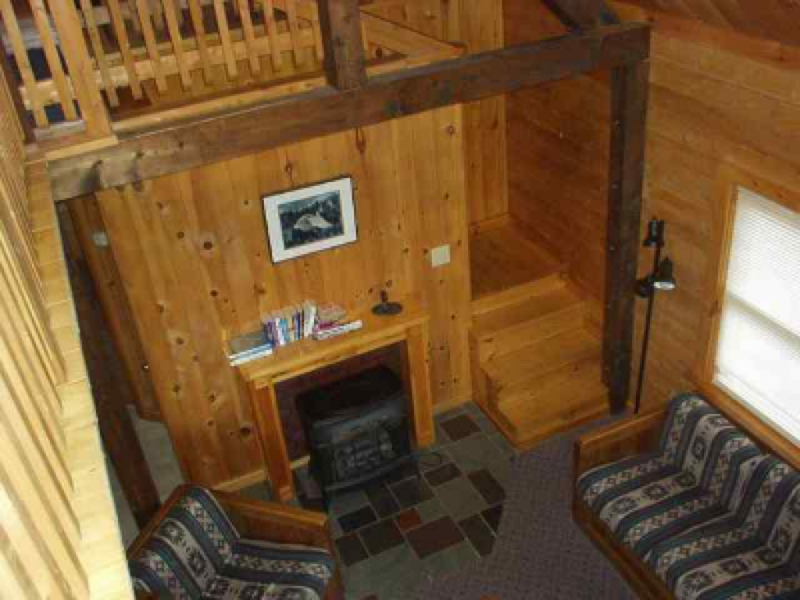 It is quite cozy and has its own private entrance. 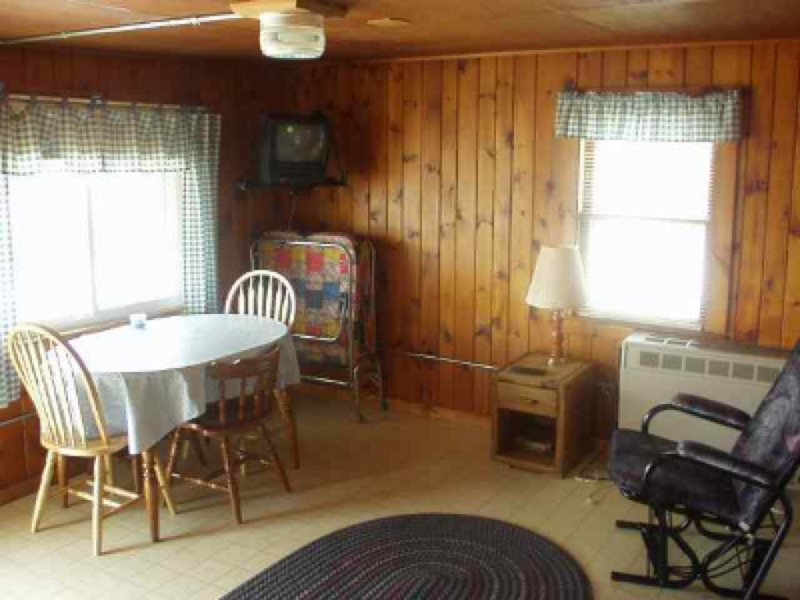 It has two bedrooms, a kitchen, dining room, living area, 3/4 bathroom and wifi. 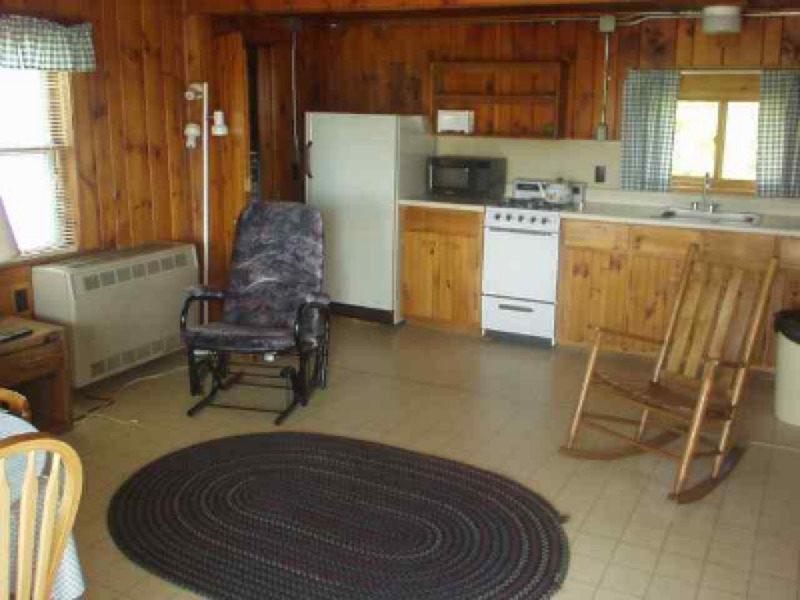 It also features a garden patio, outside firepit, gas grill and cell phone service. 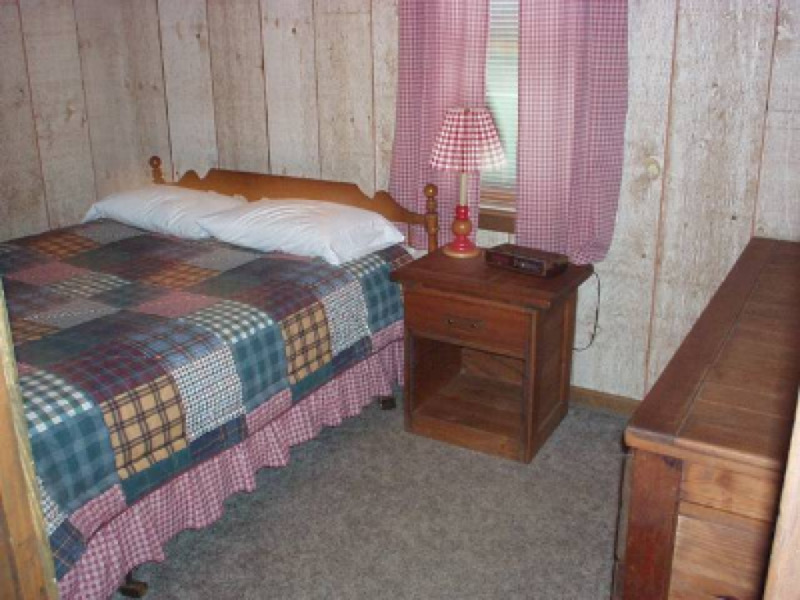 "Willy B" sleeps 6-8 people.